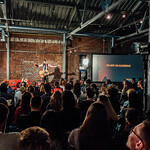 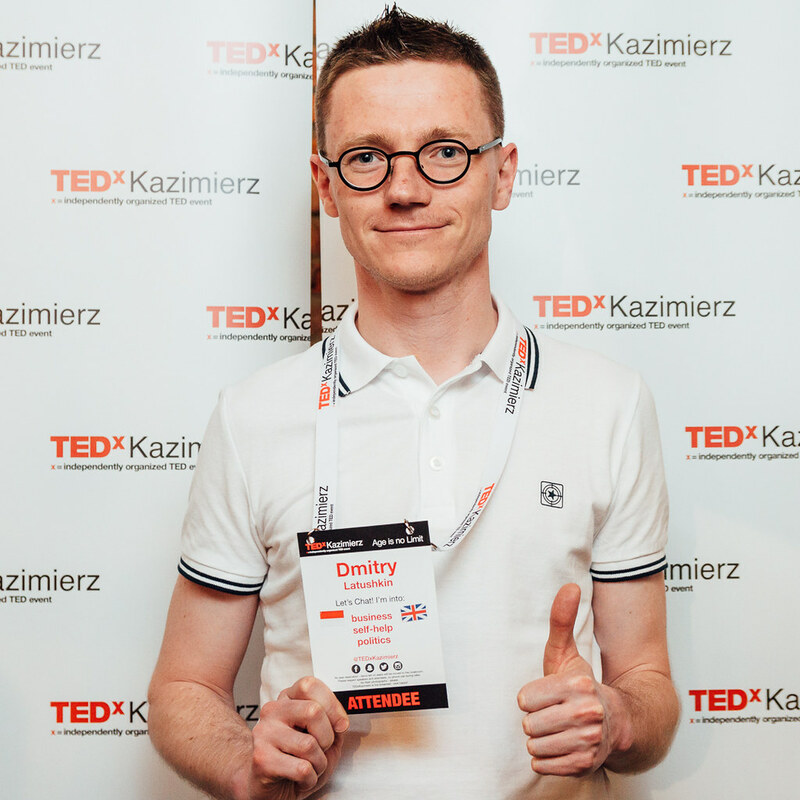 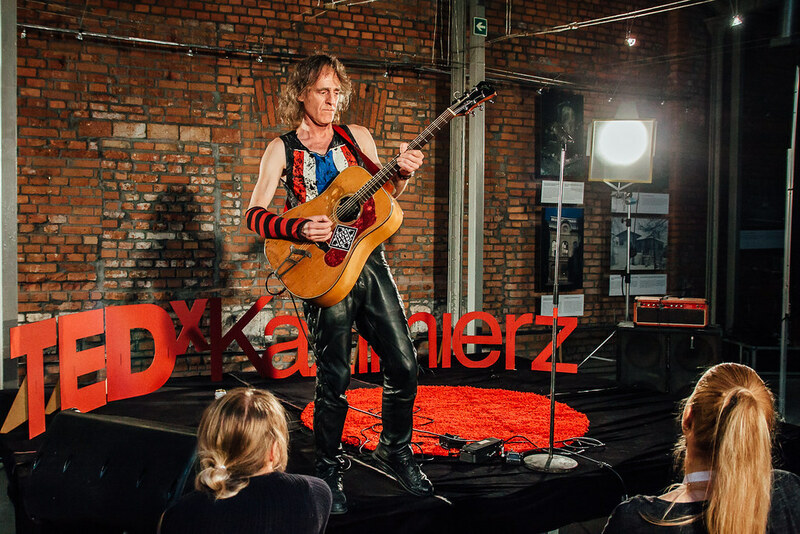 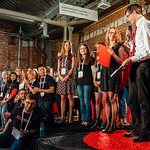 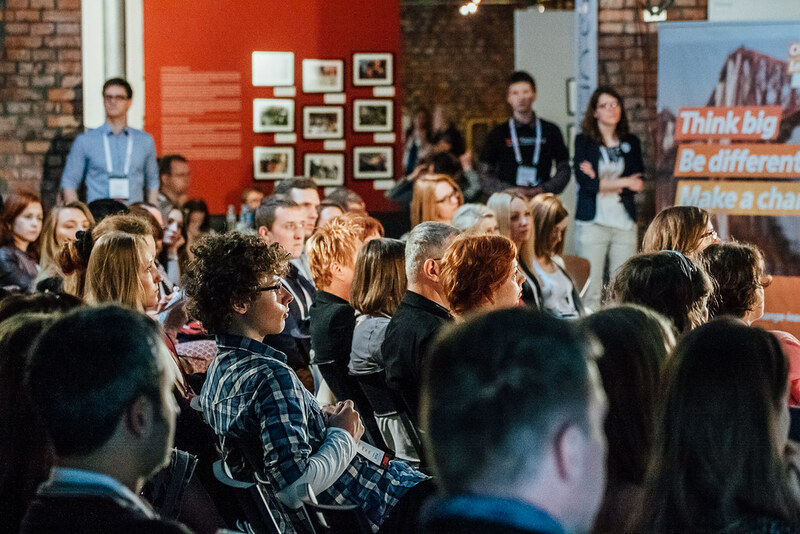 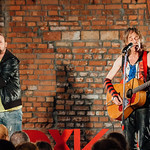 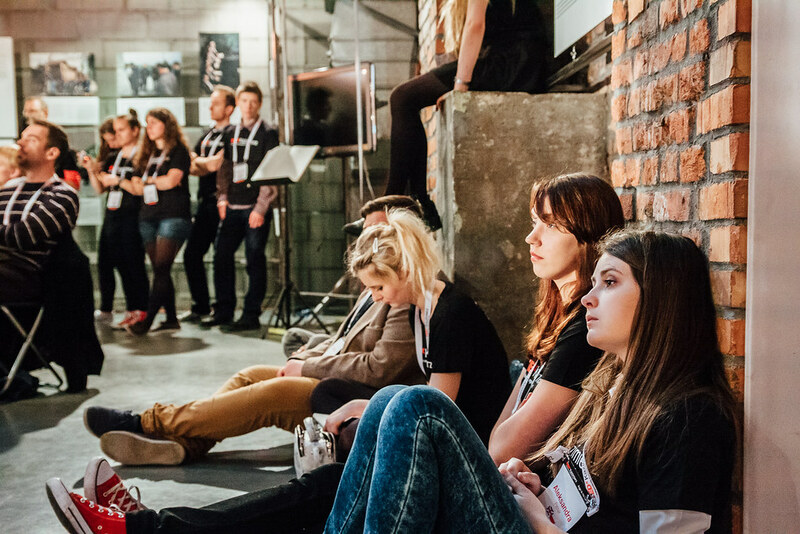 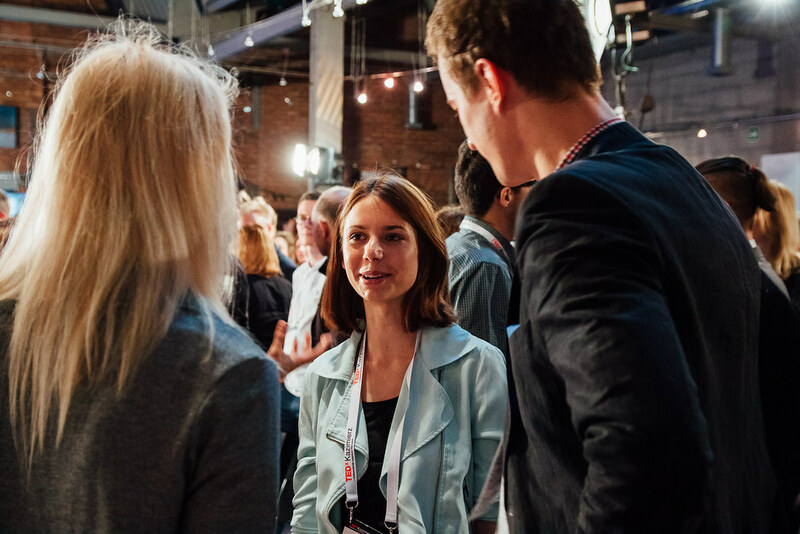 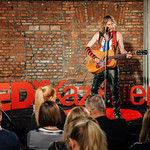 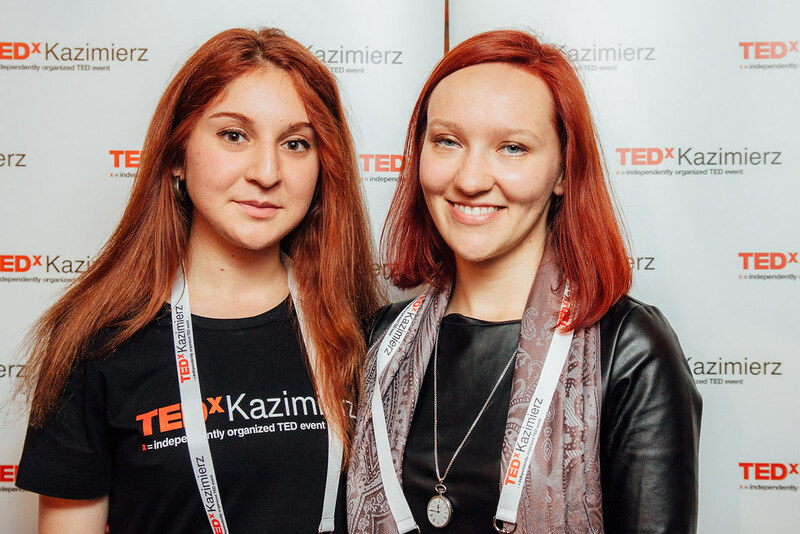 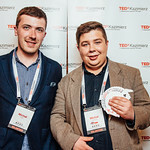 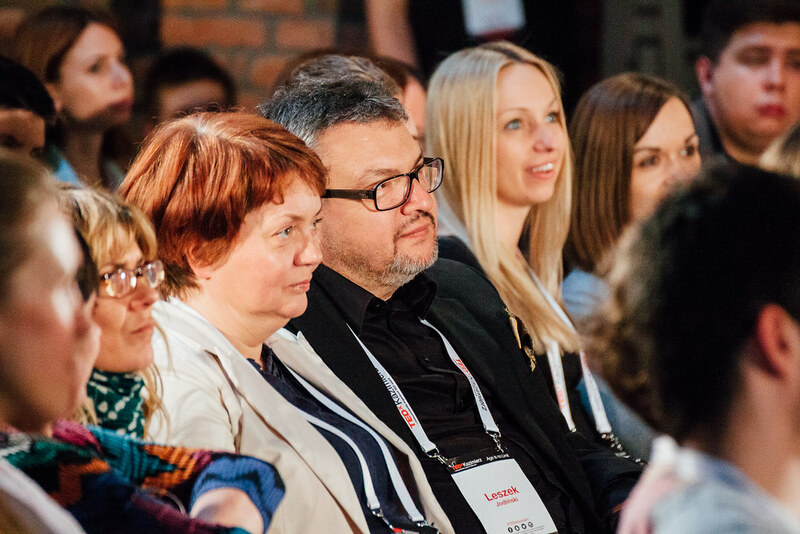 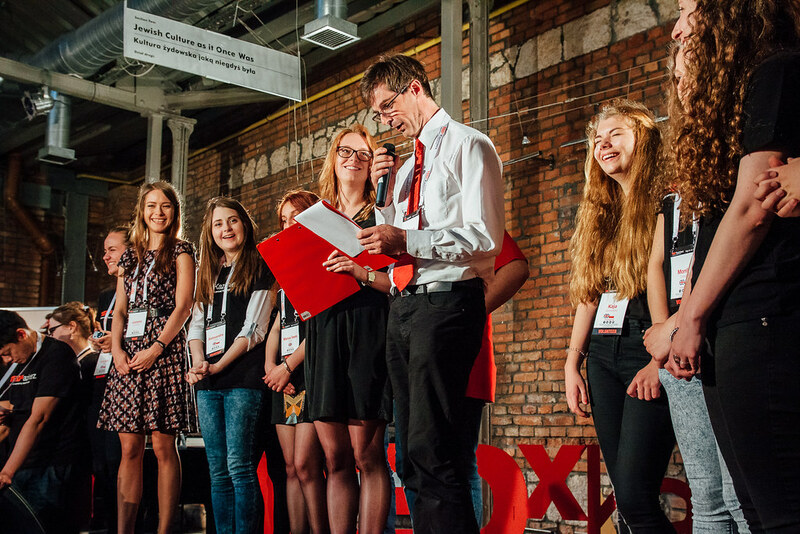 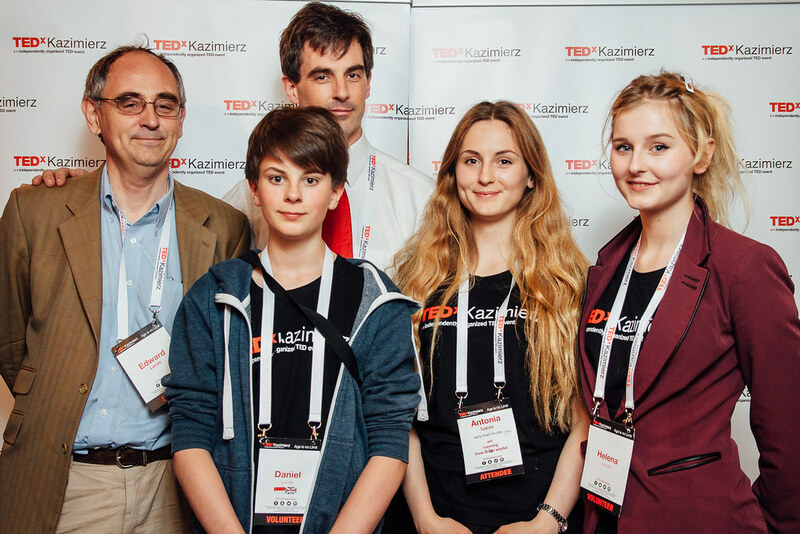 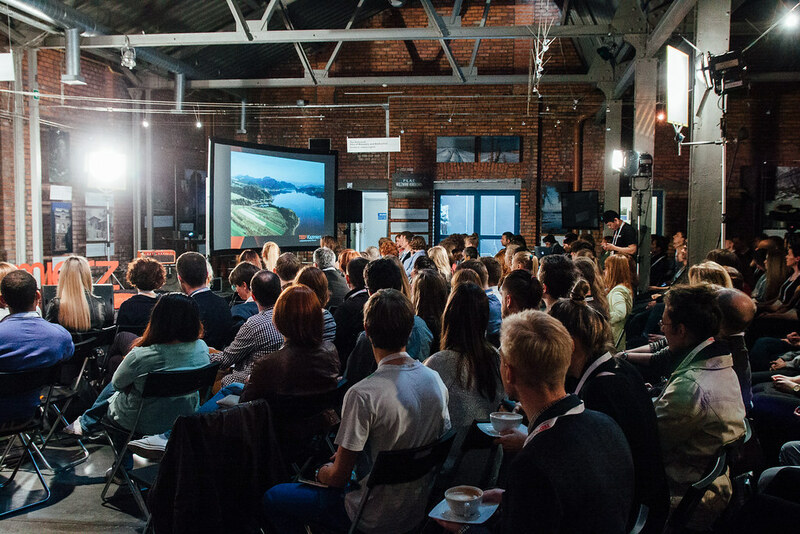 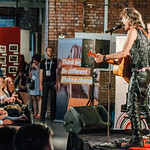 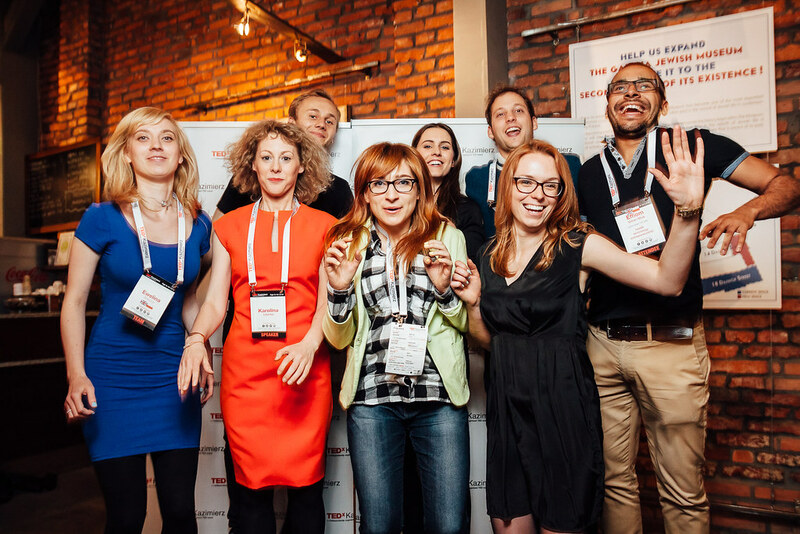 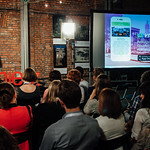 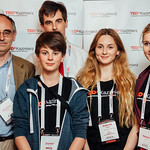 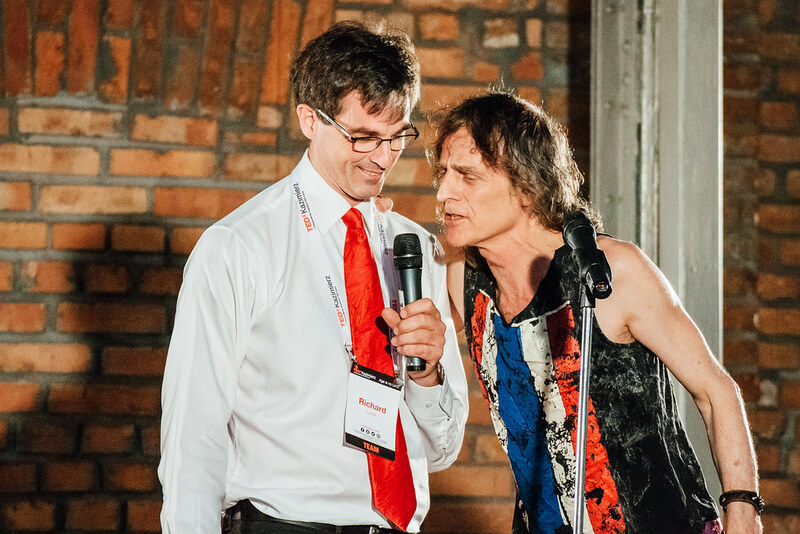 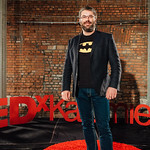 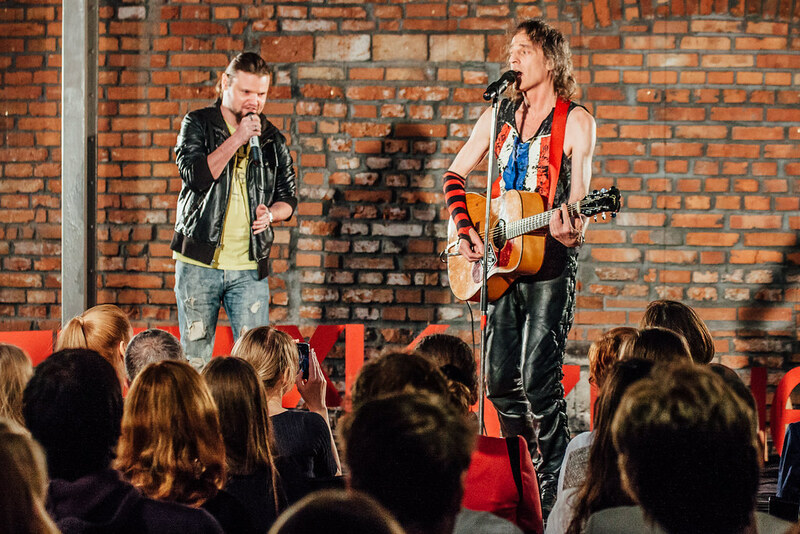 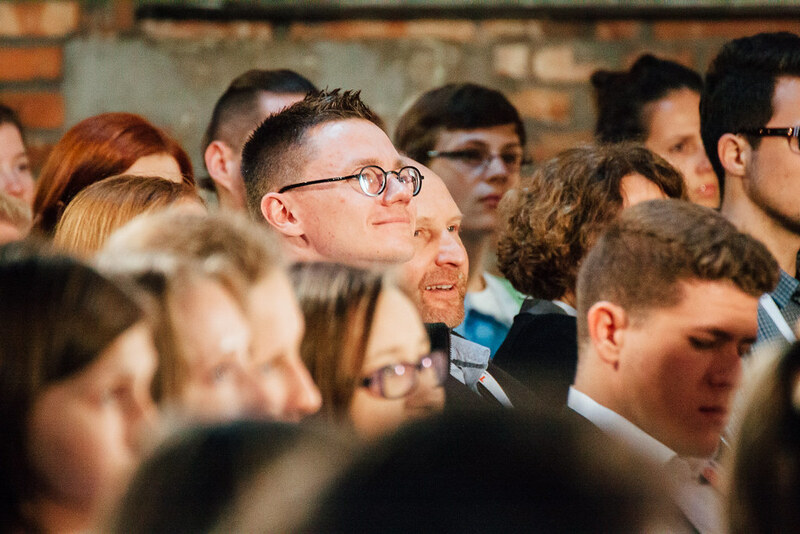 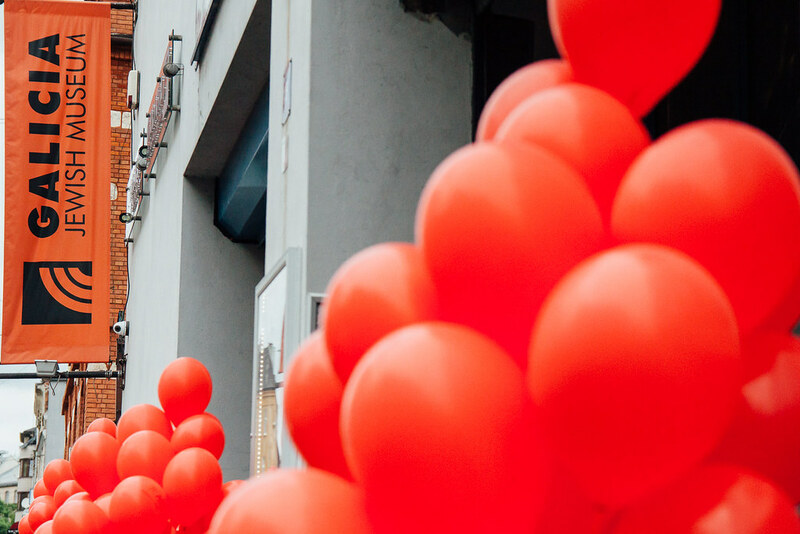 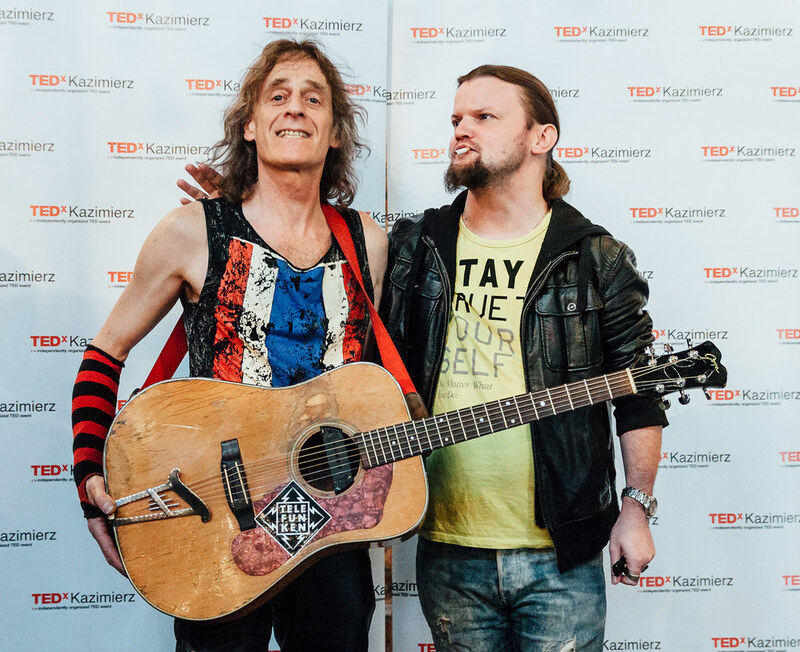 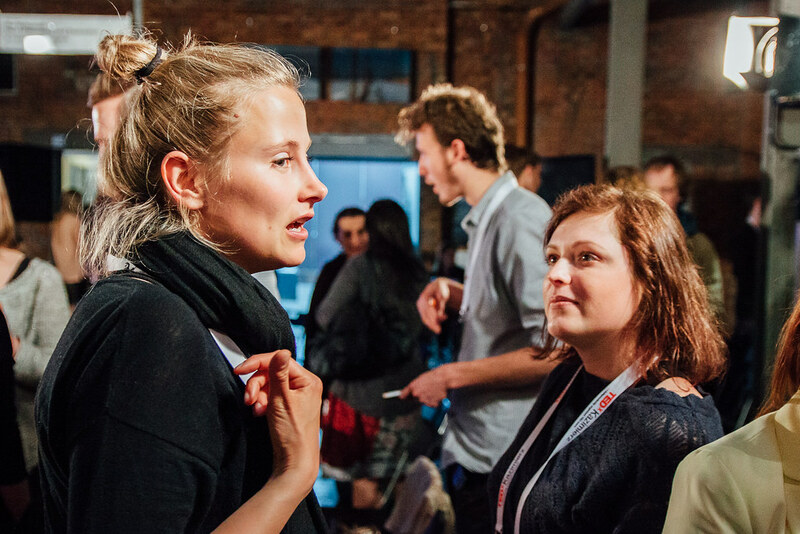 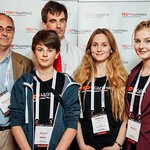 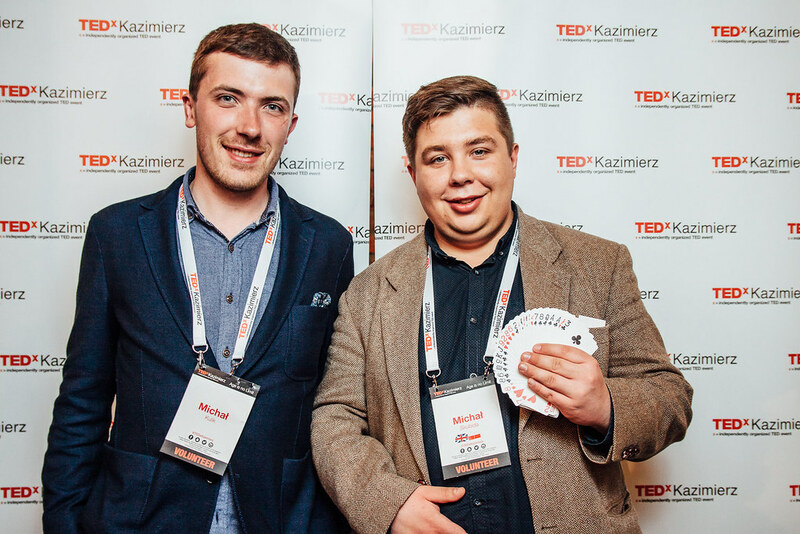 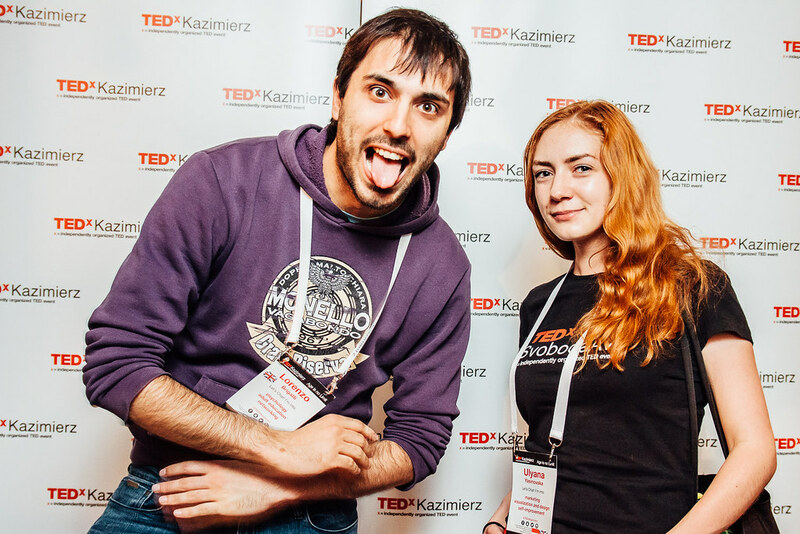 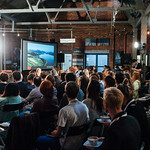 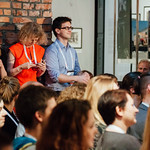 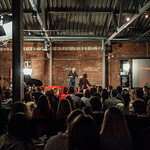 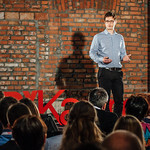 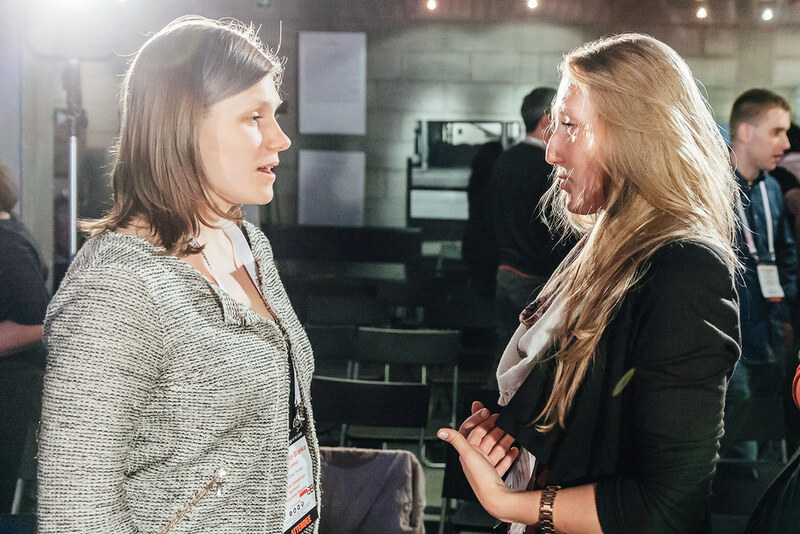 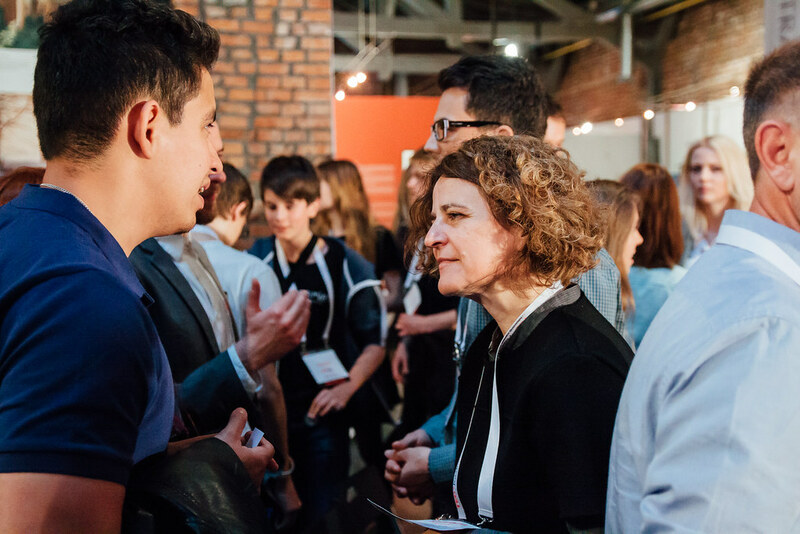 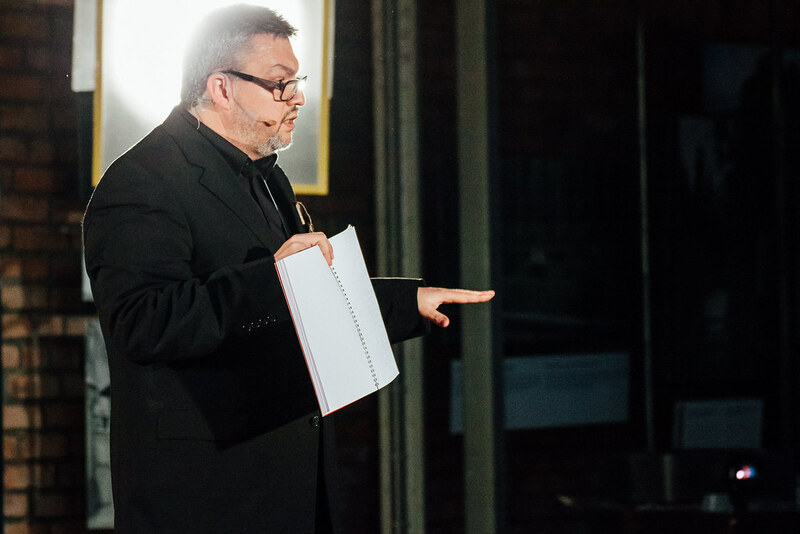 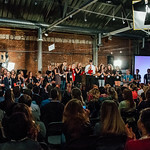 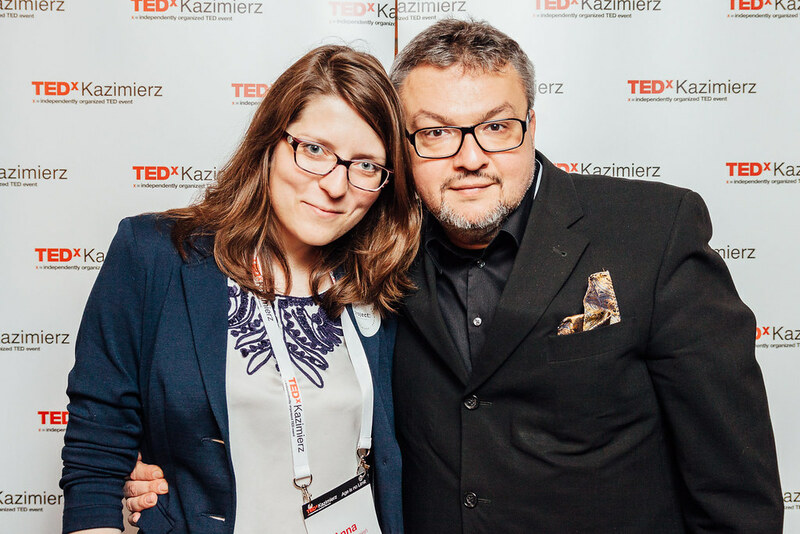 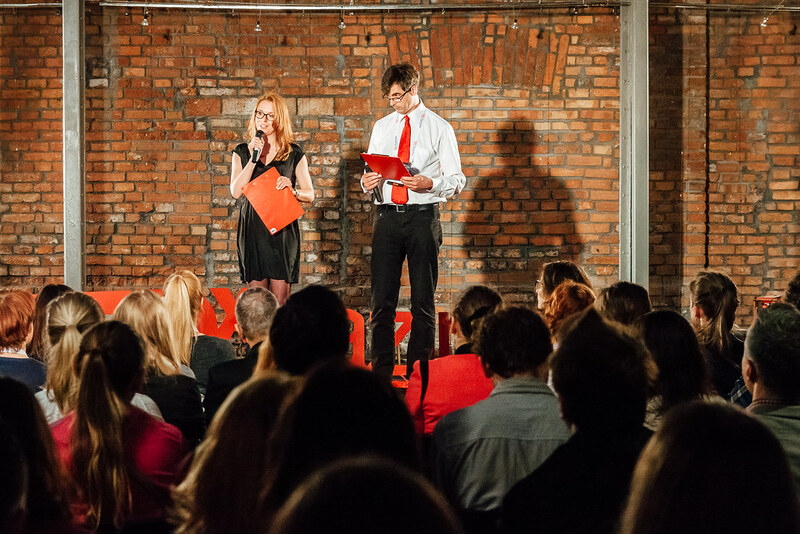 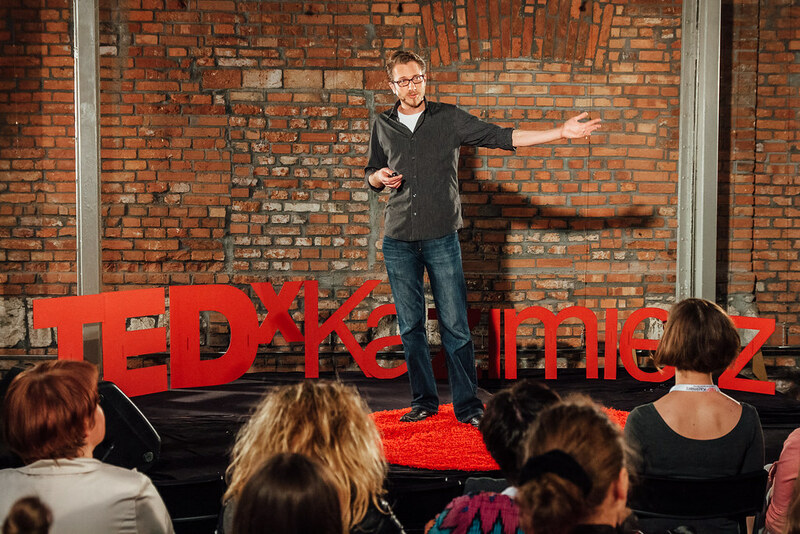 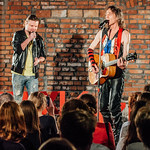 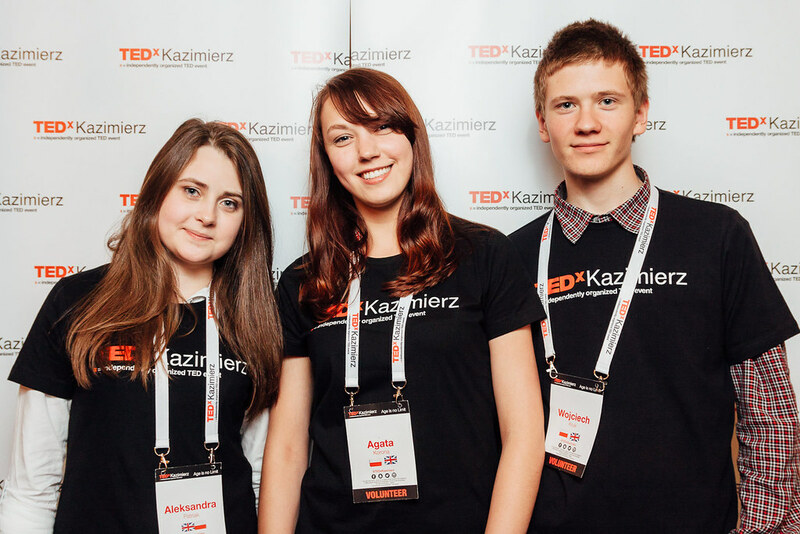 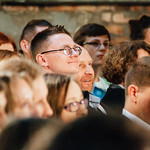 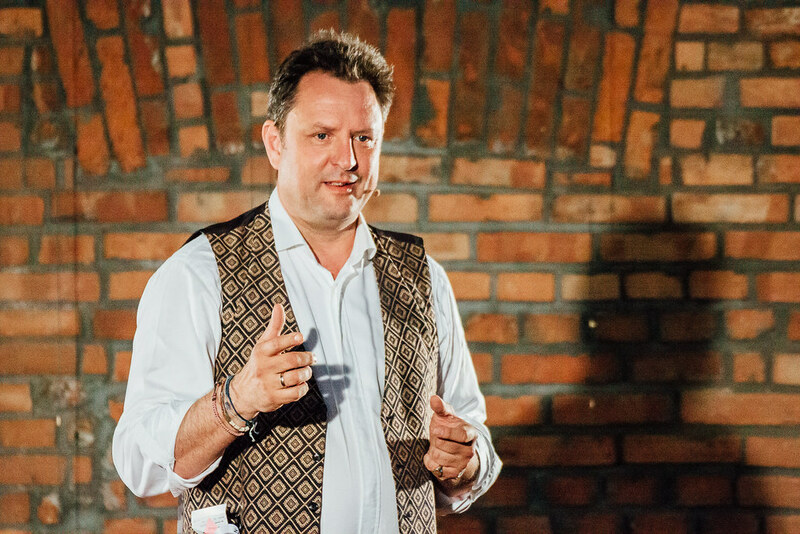 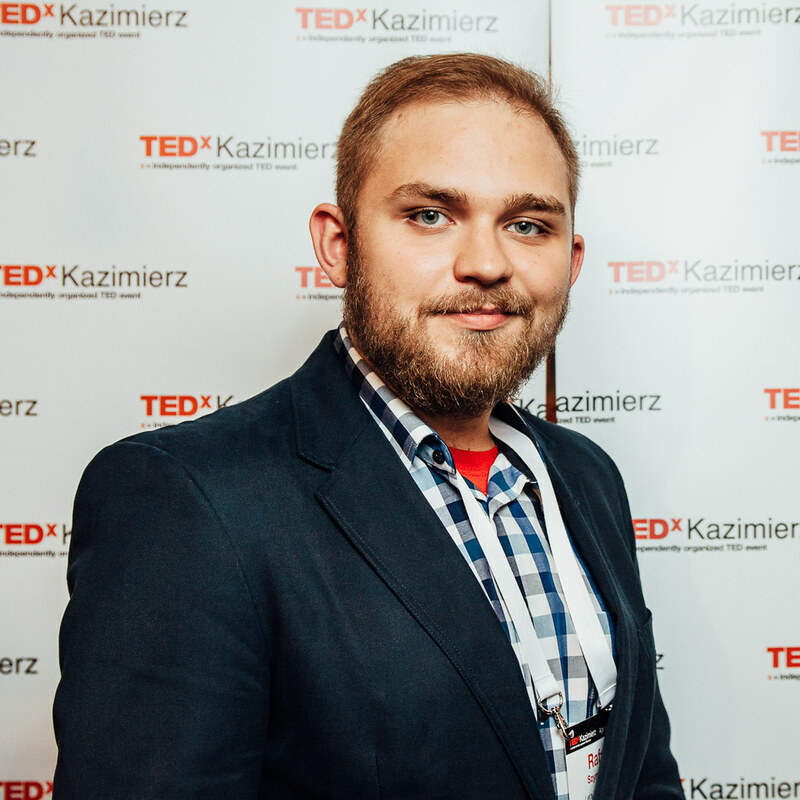 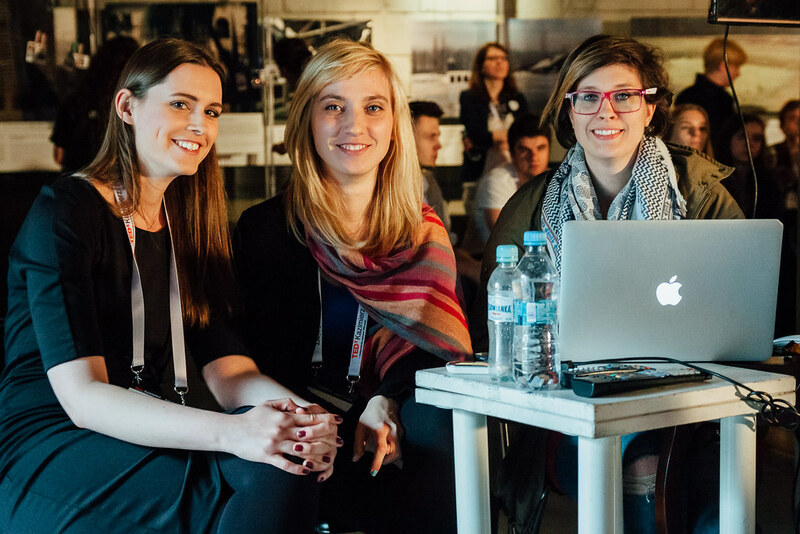 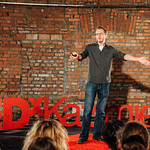 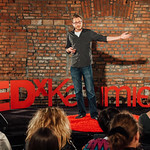 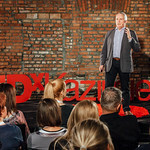 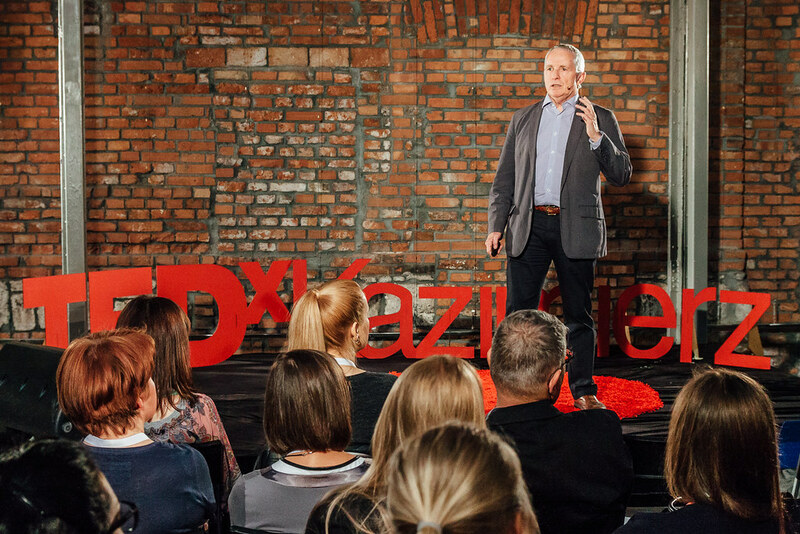 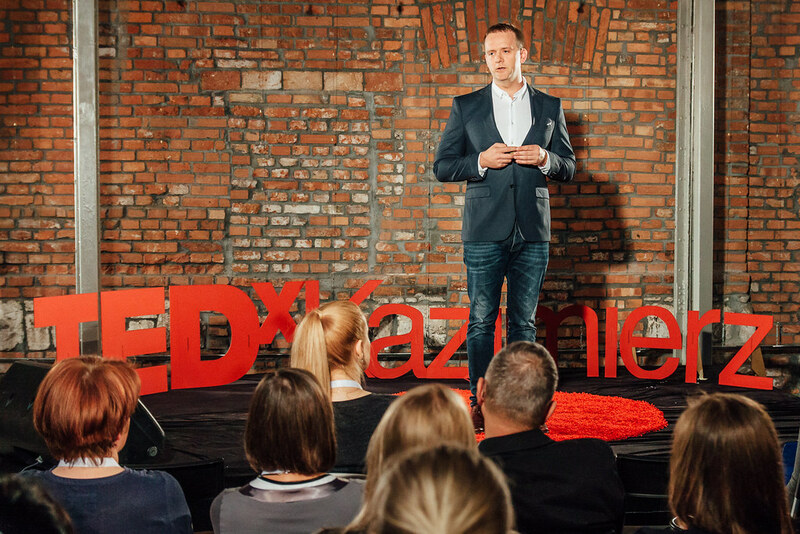 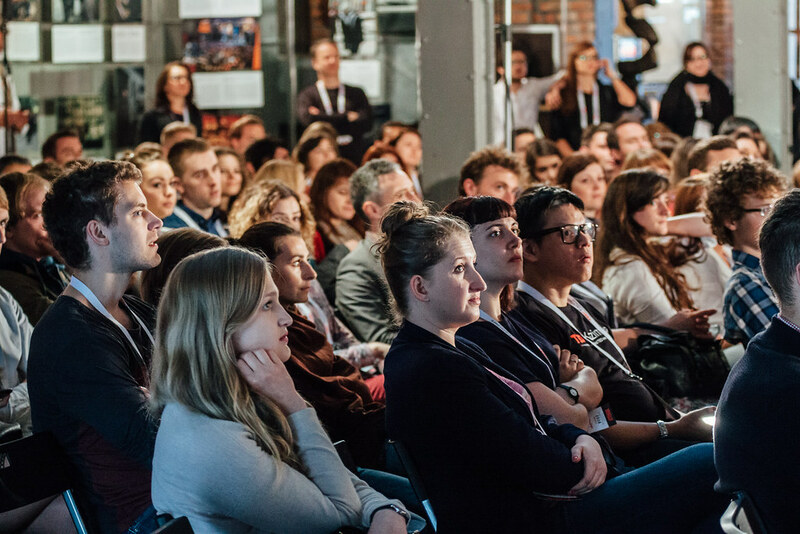 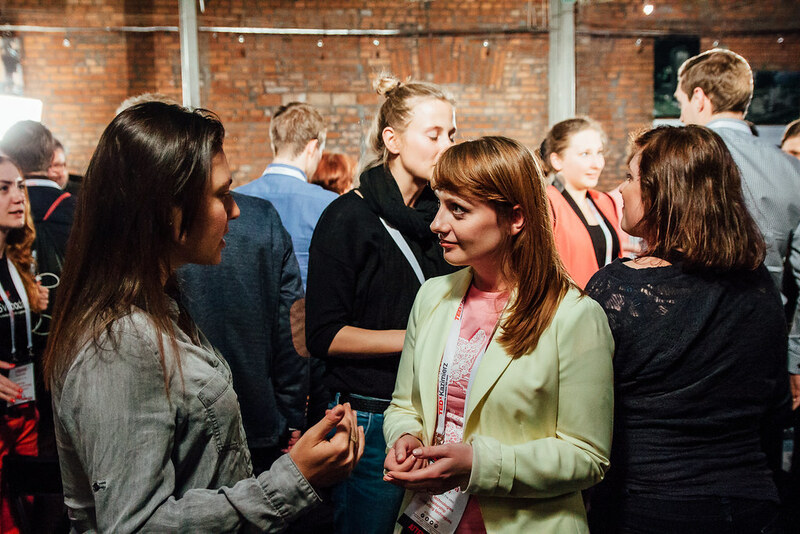 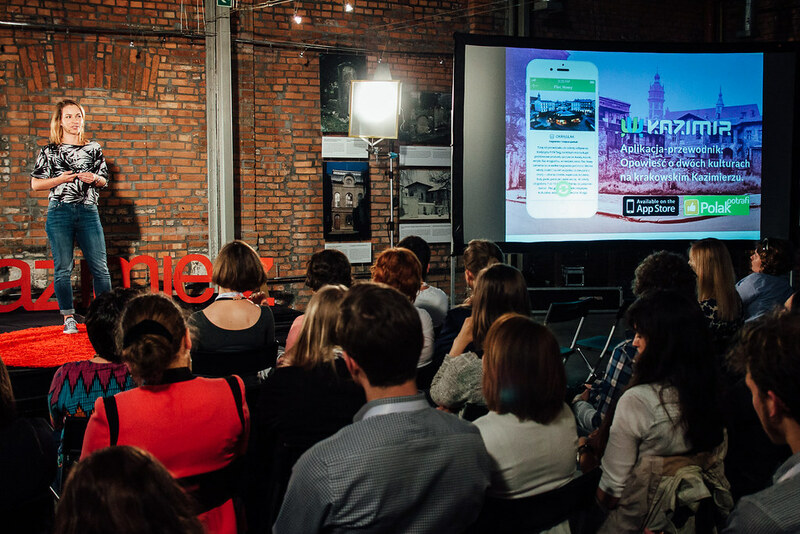 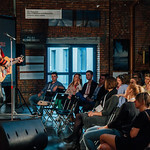 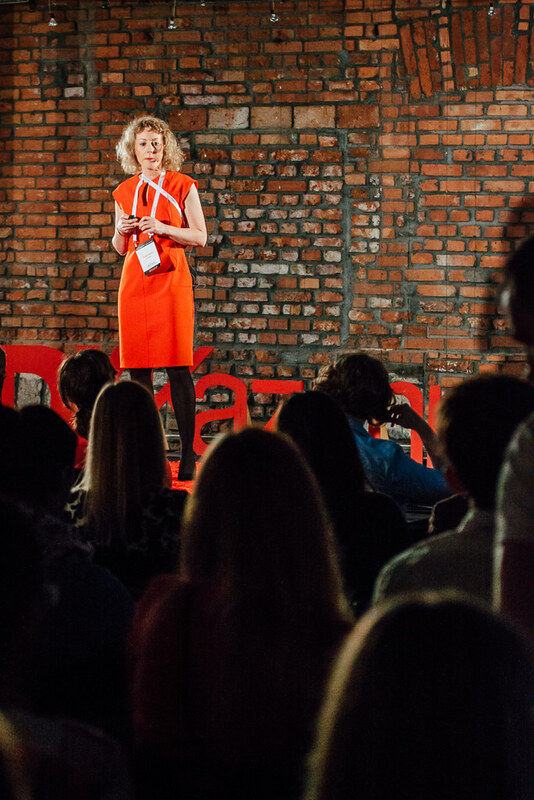 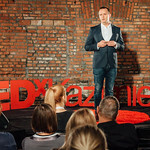 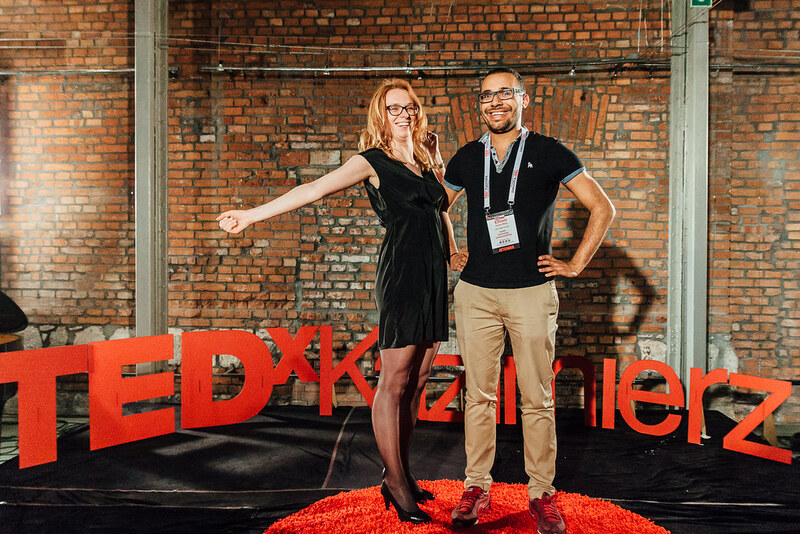 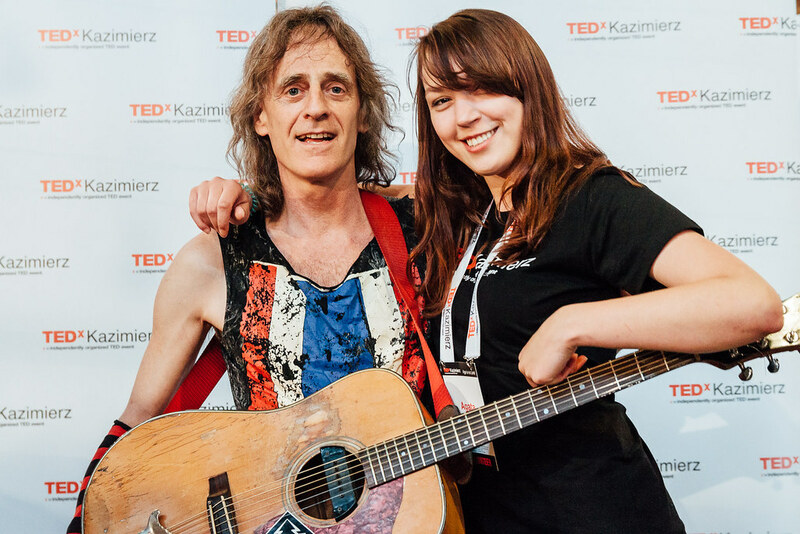 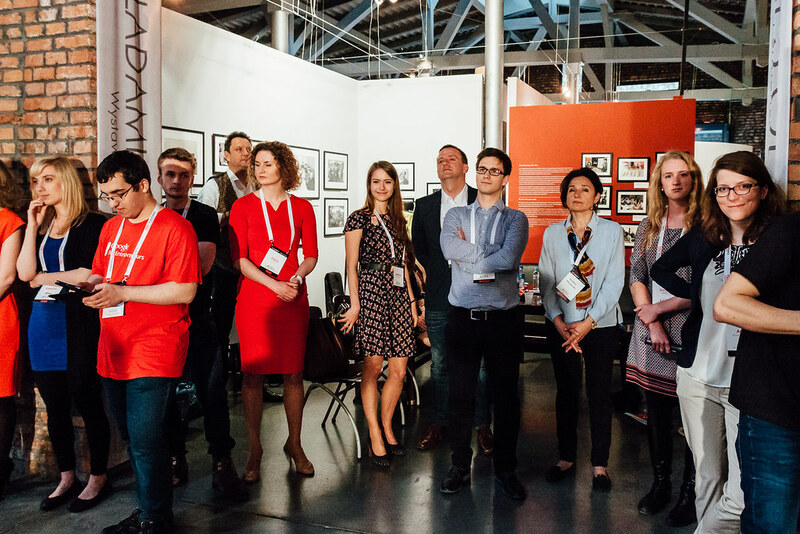 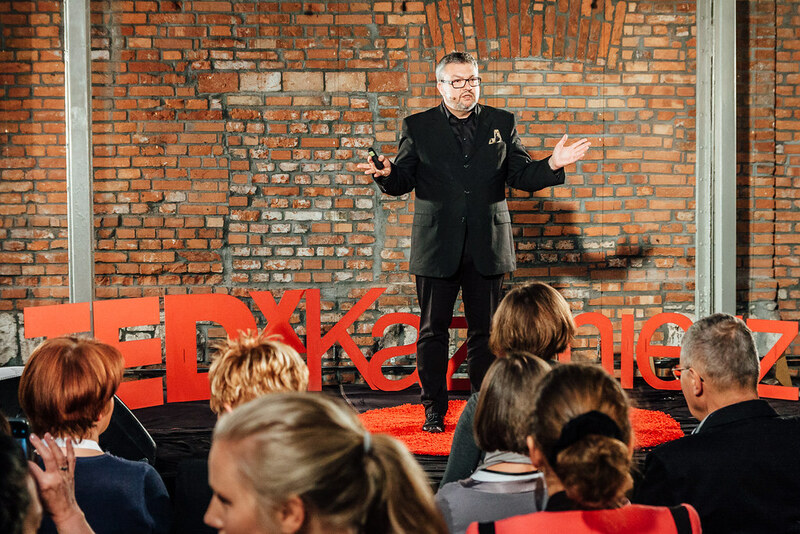 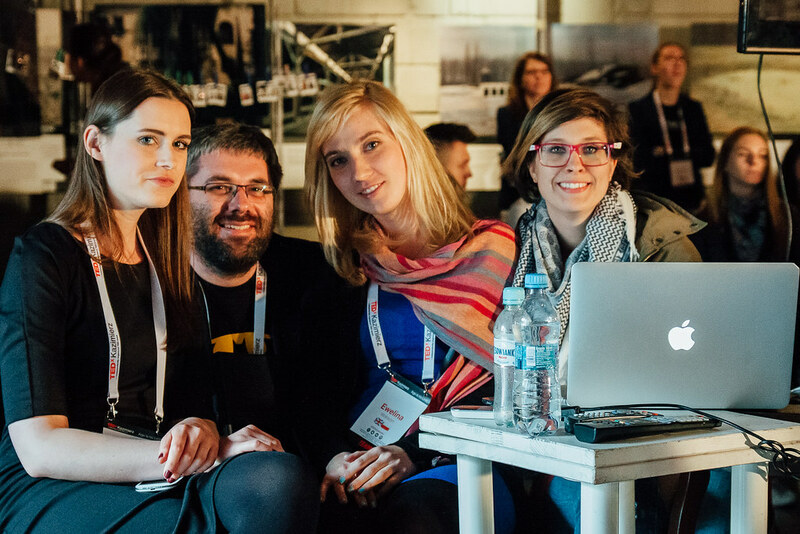 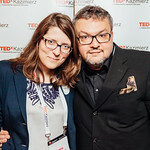 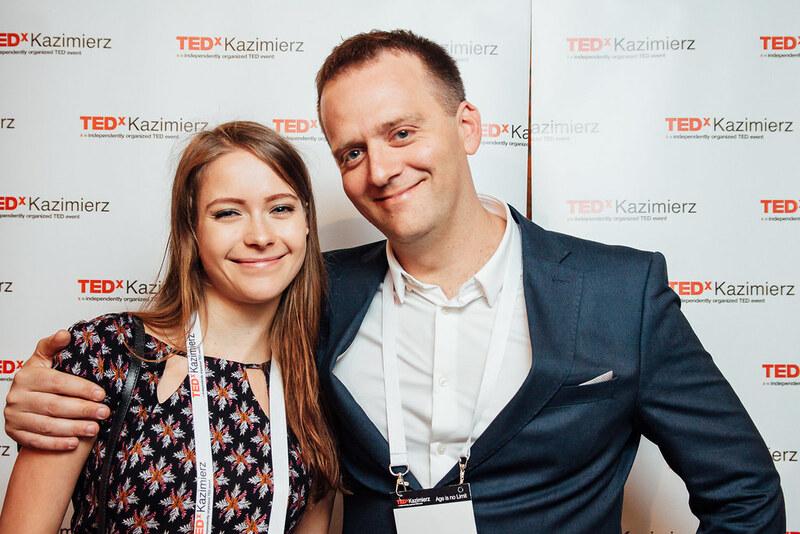 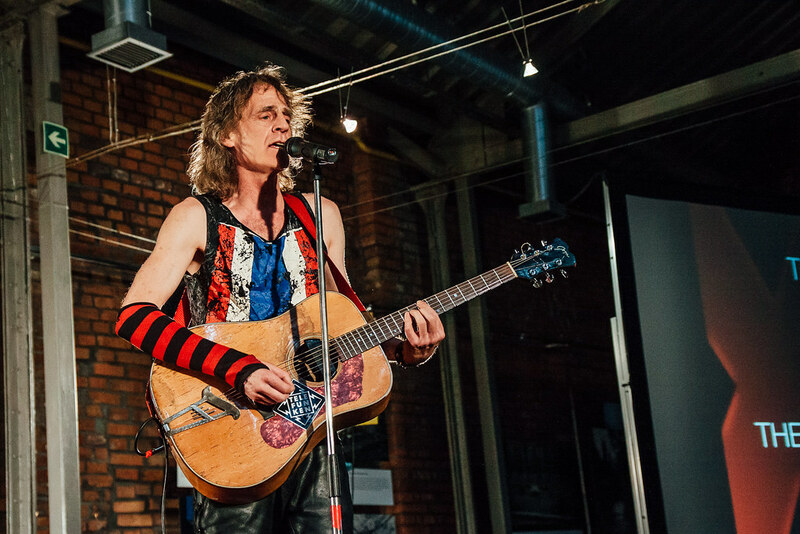 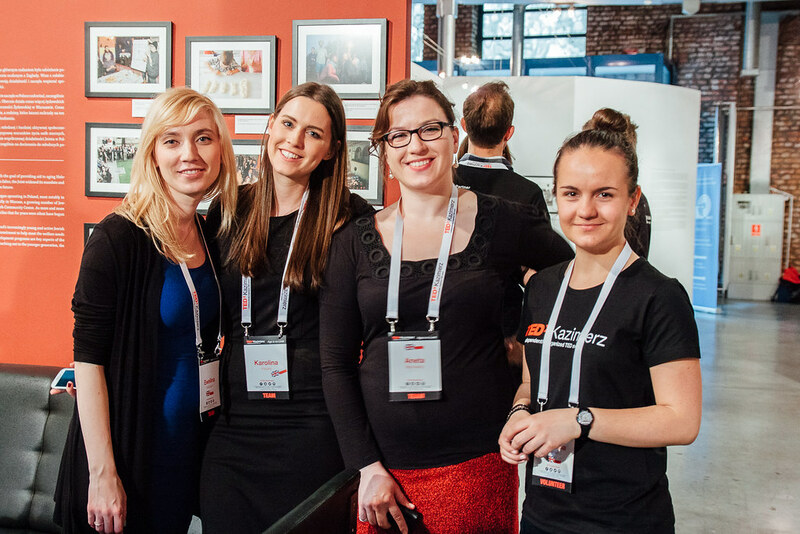 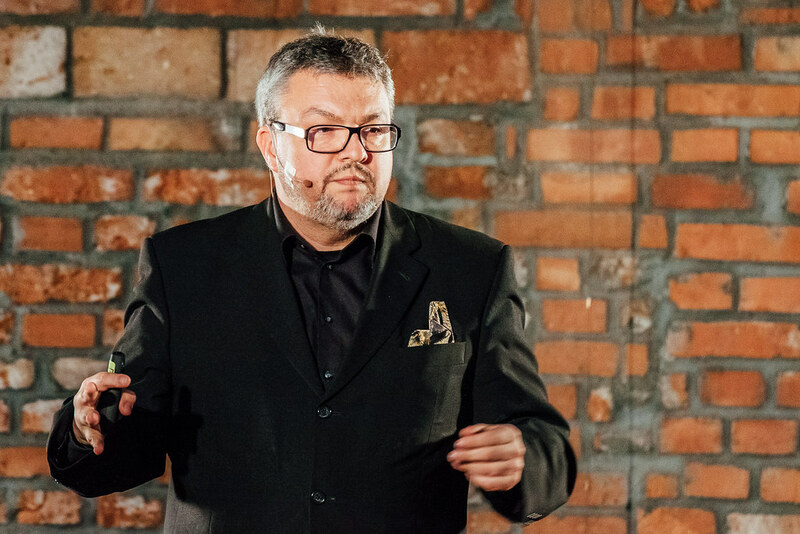 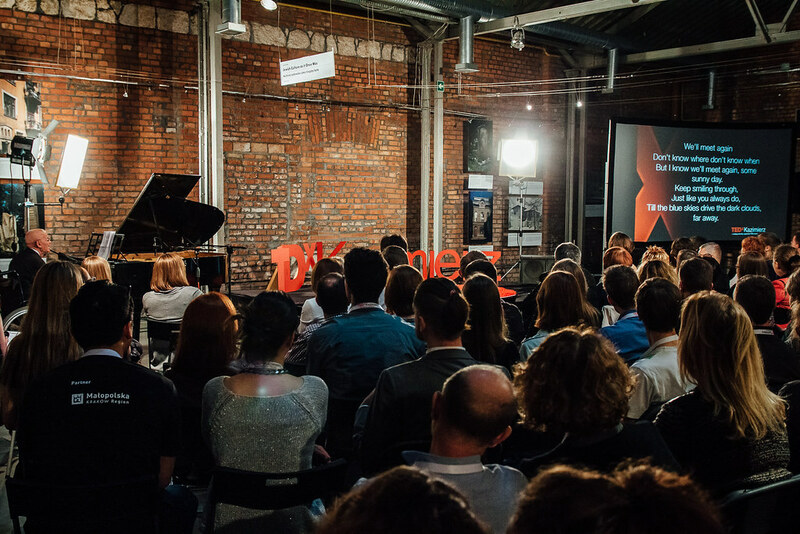 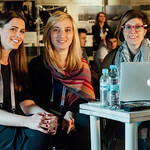 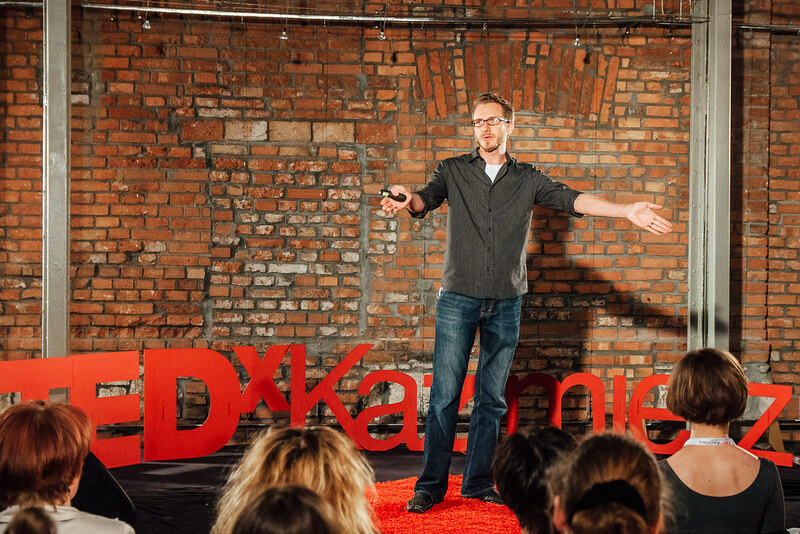 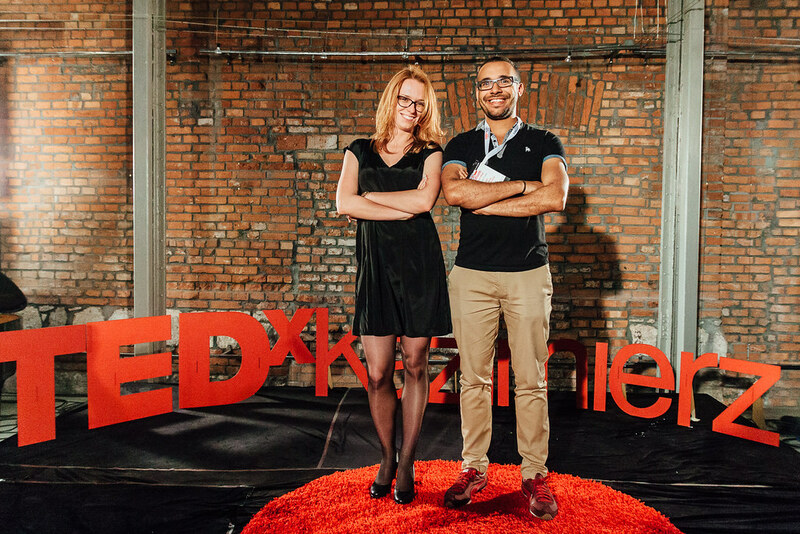 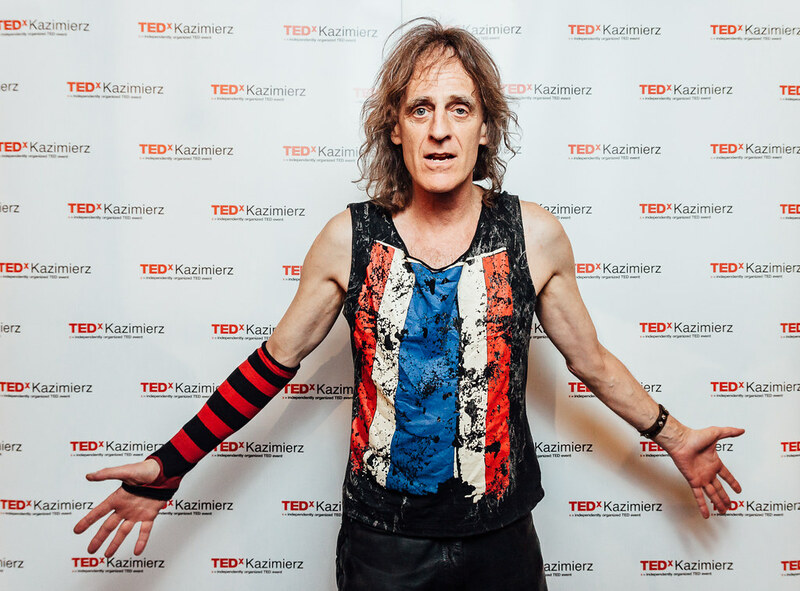 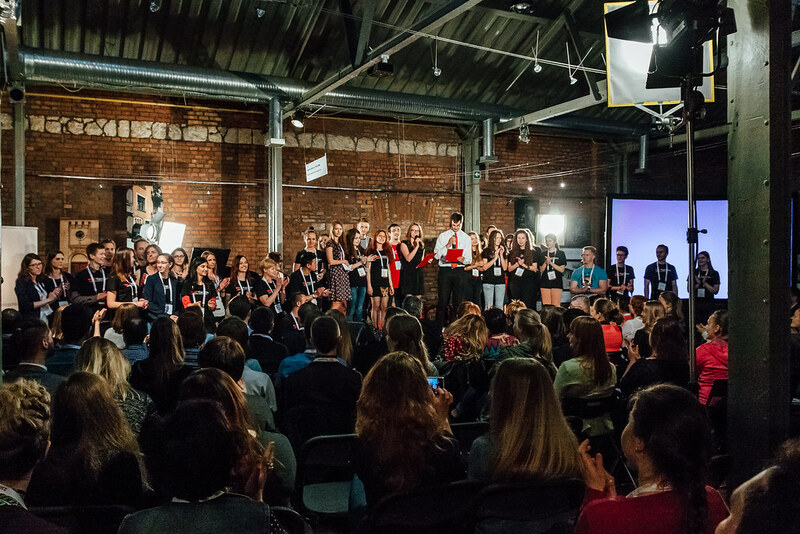 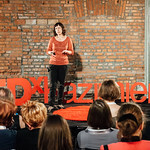 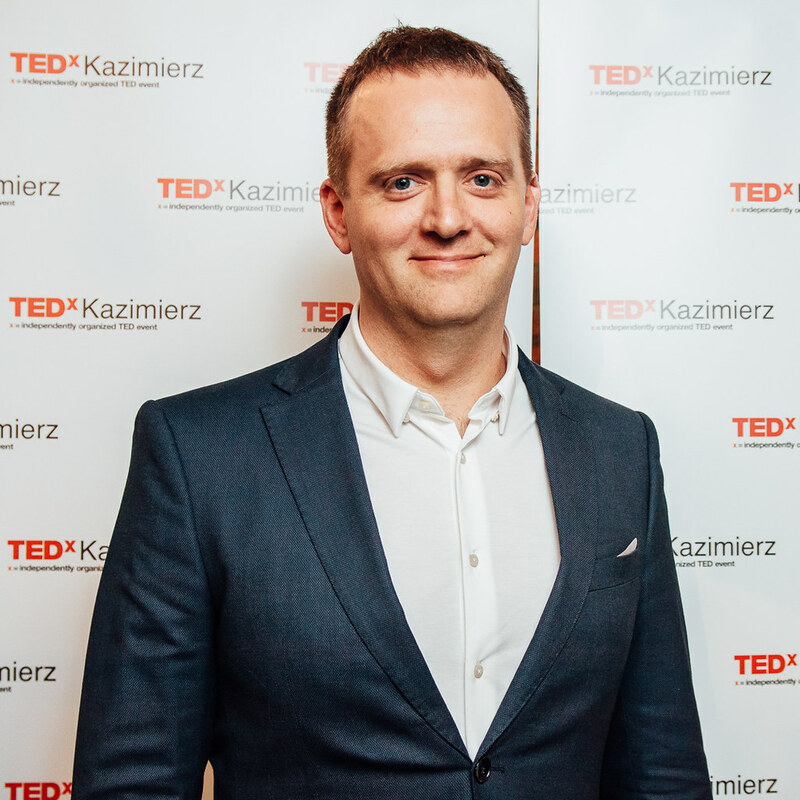 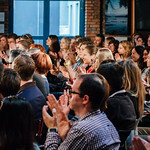 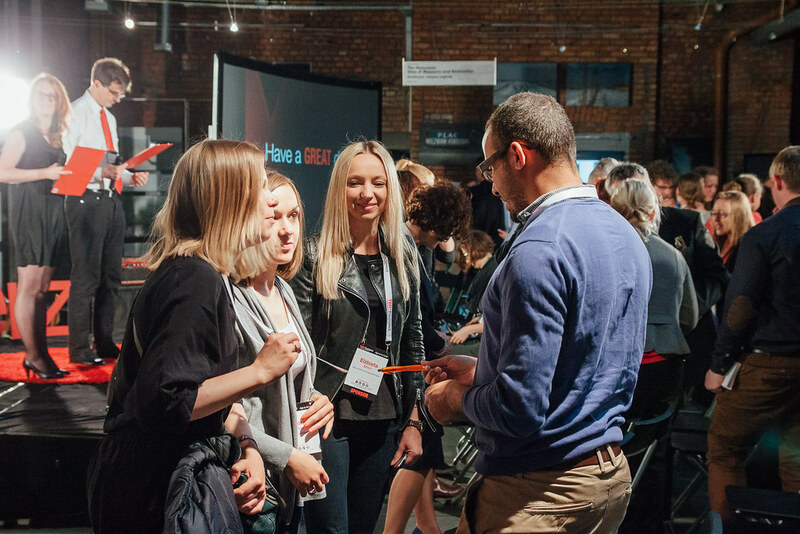 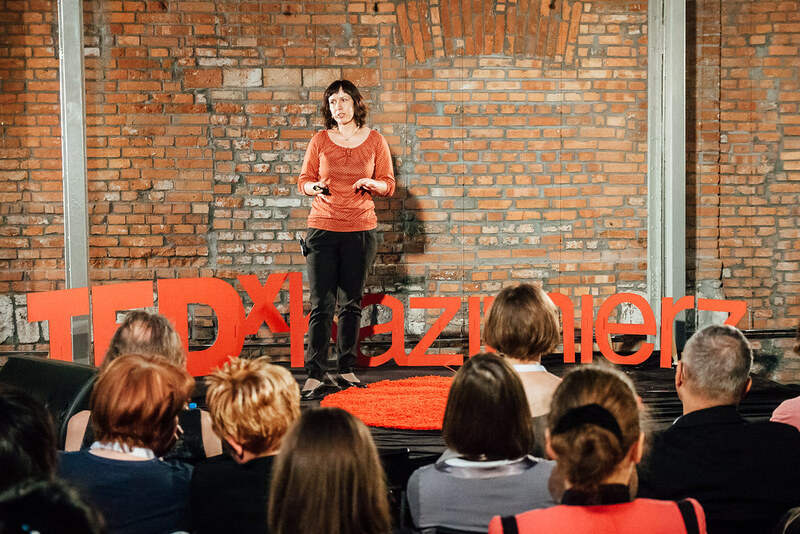 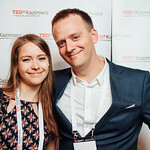 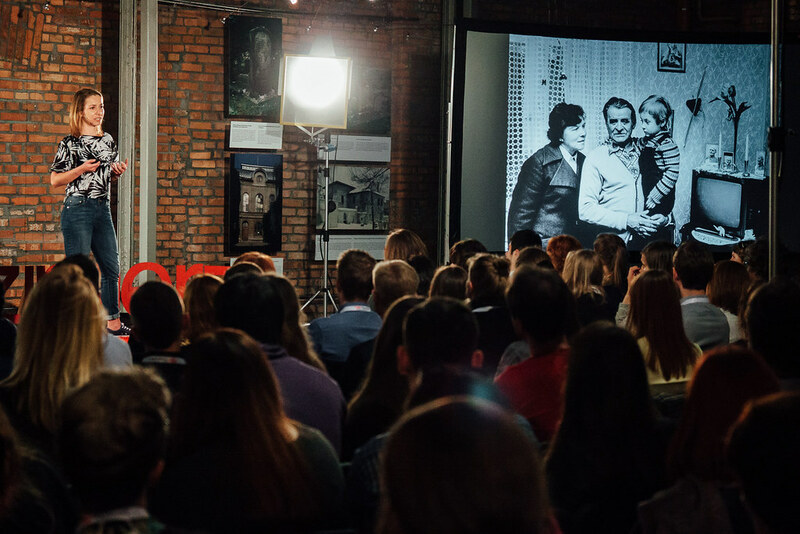 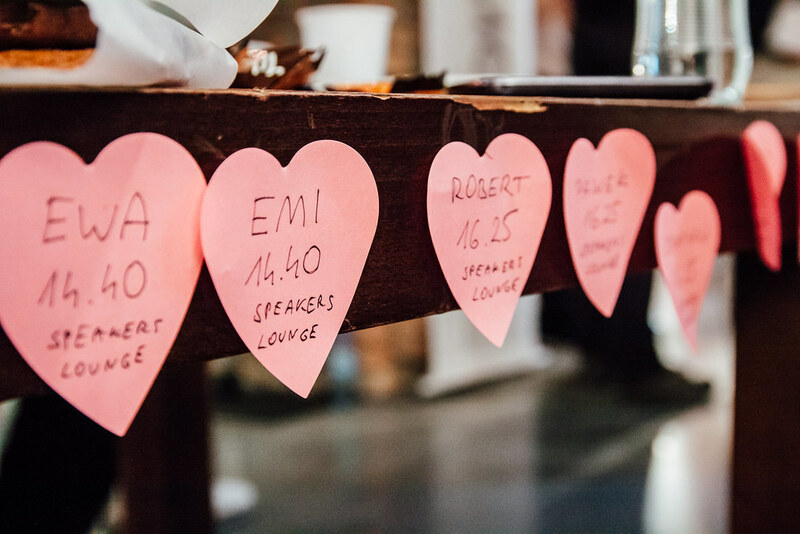 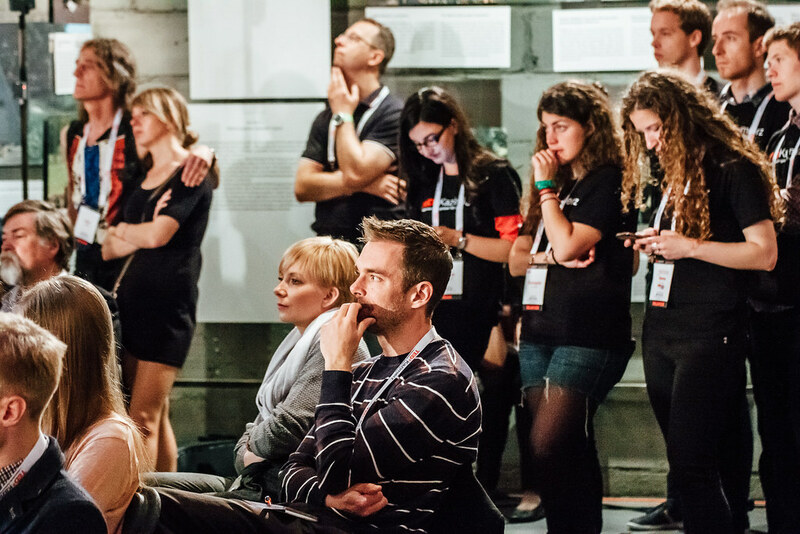 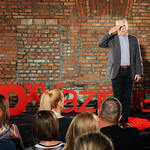 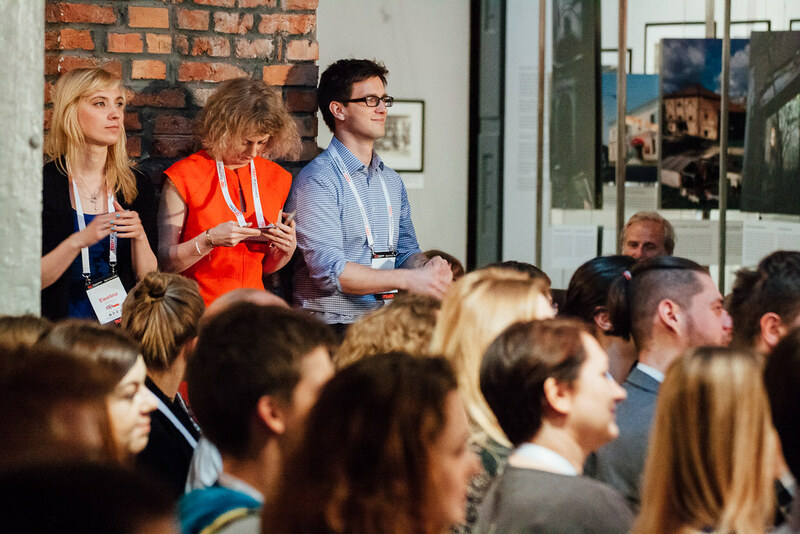 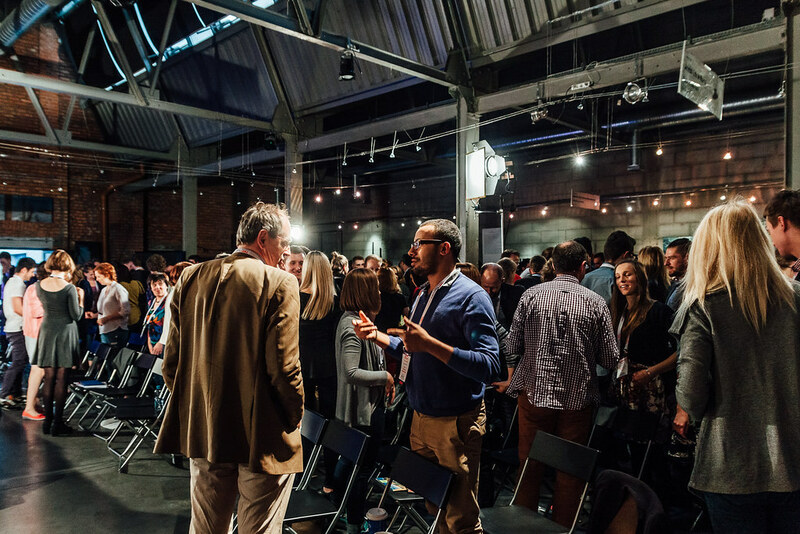 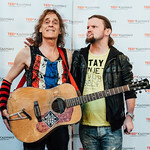 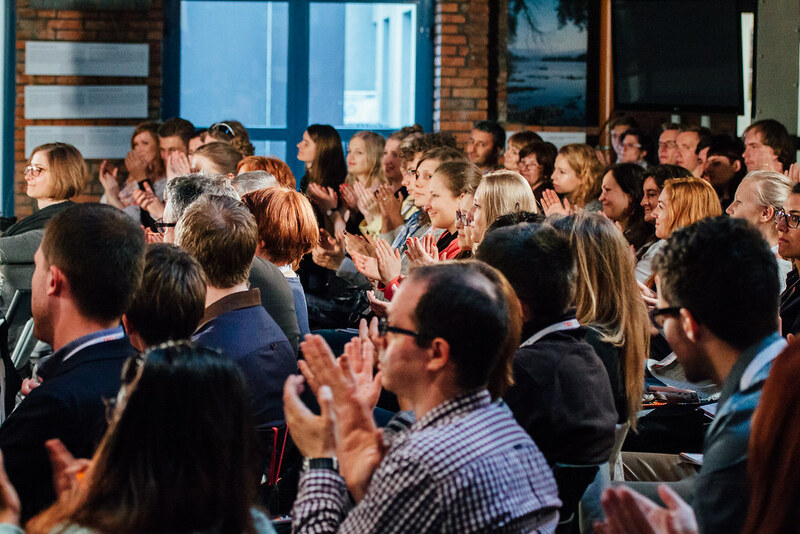 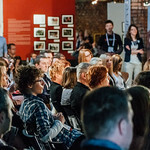 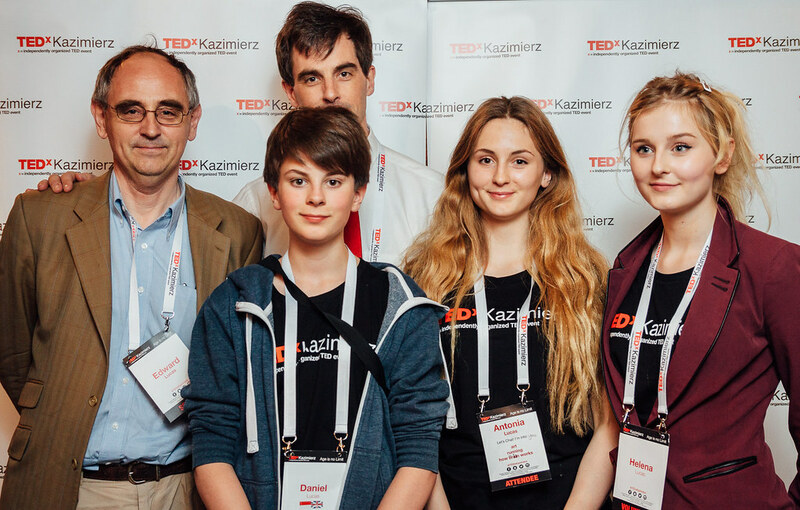 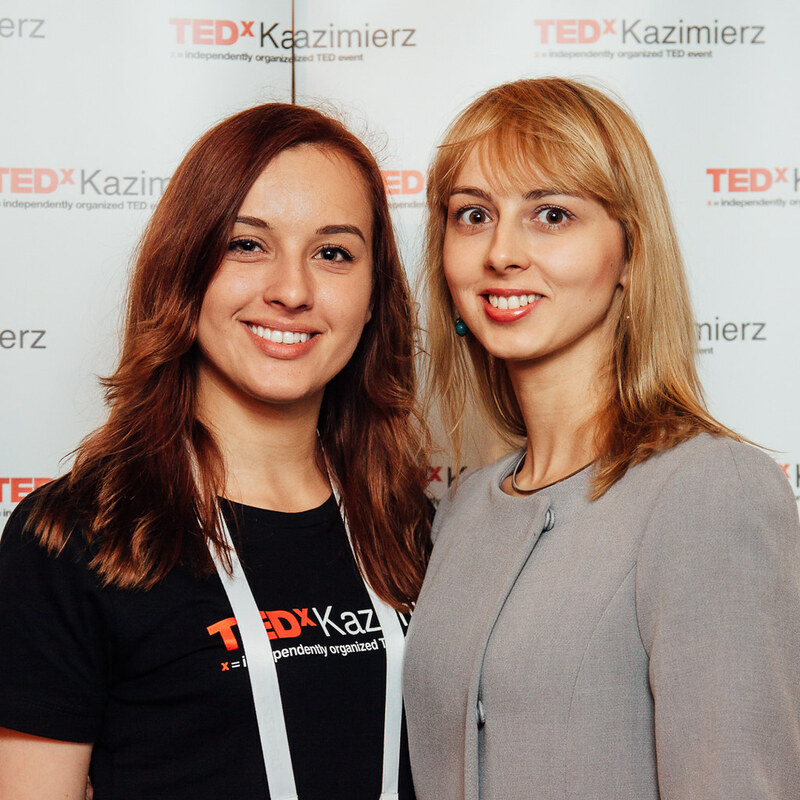 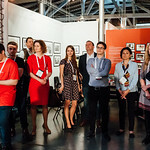 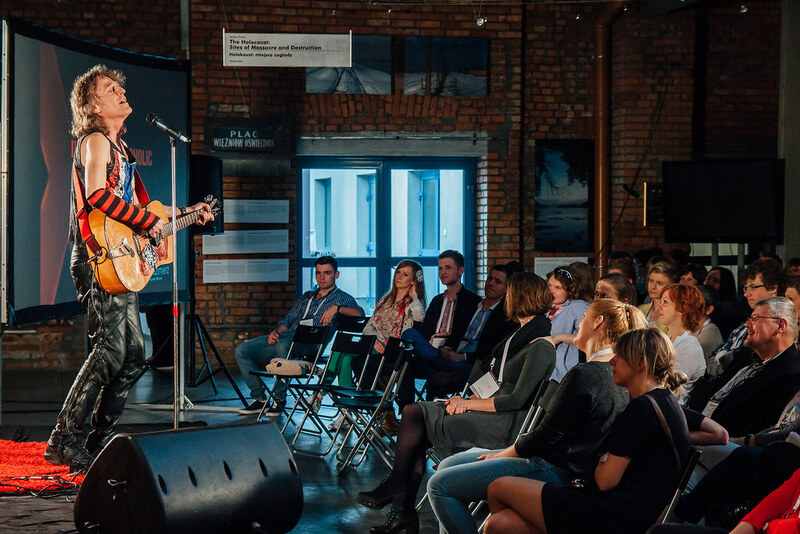 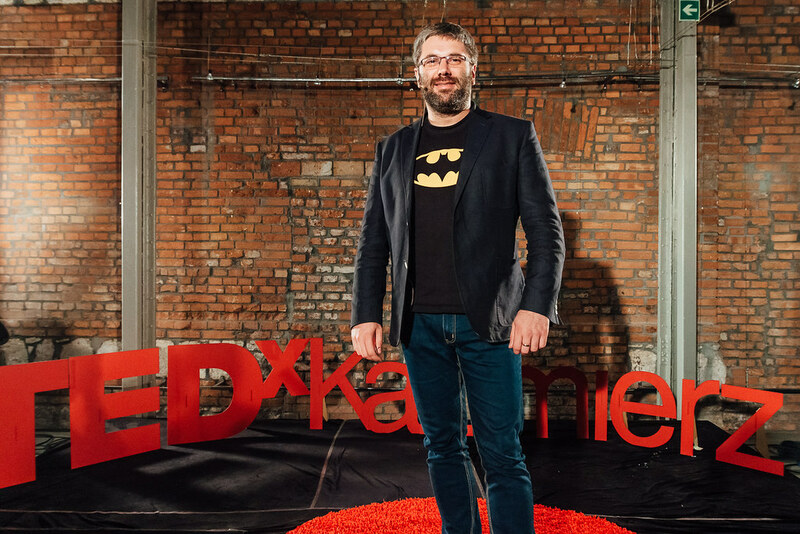 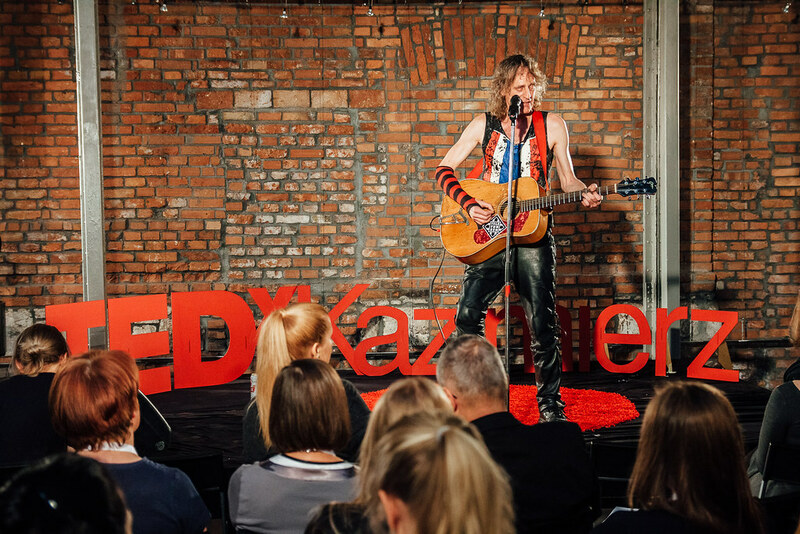 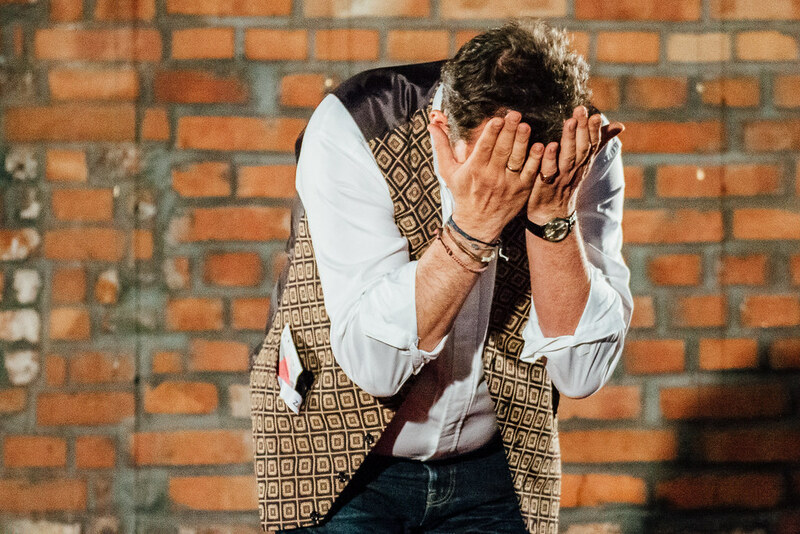 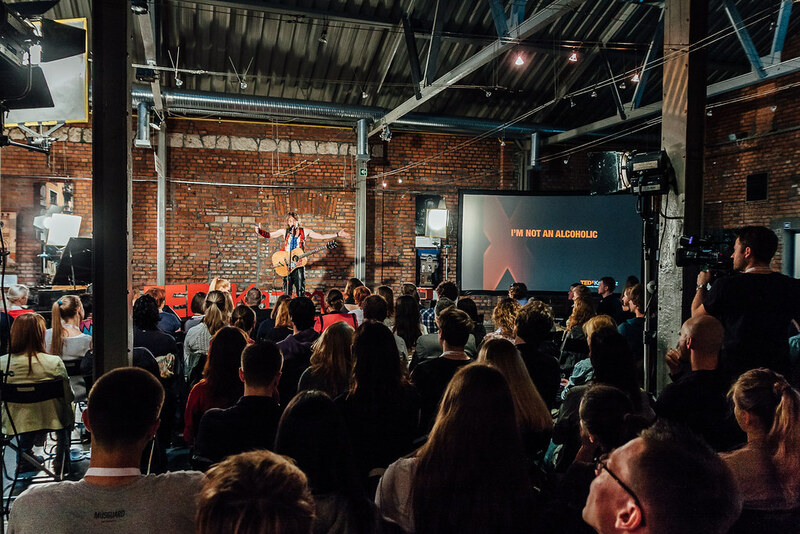 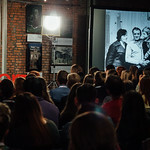 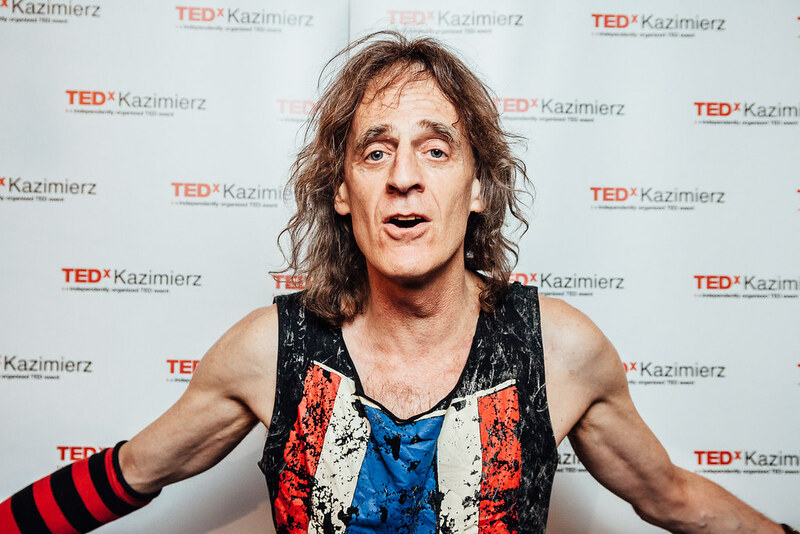 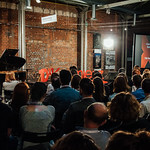 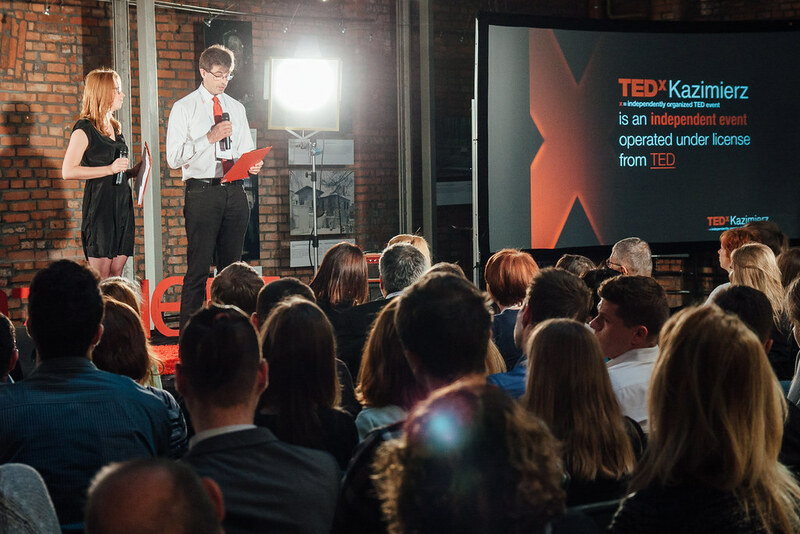 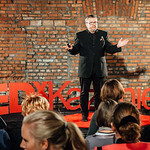 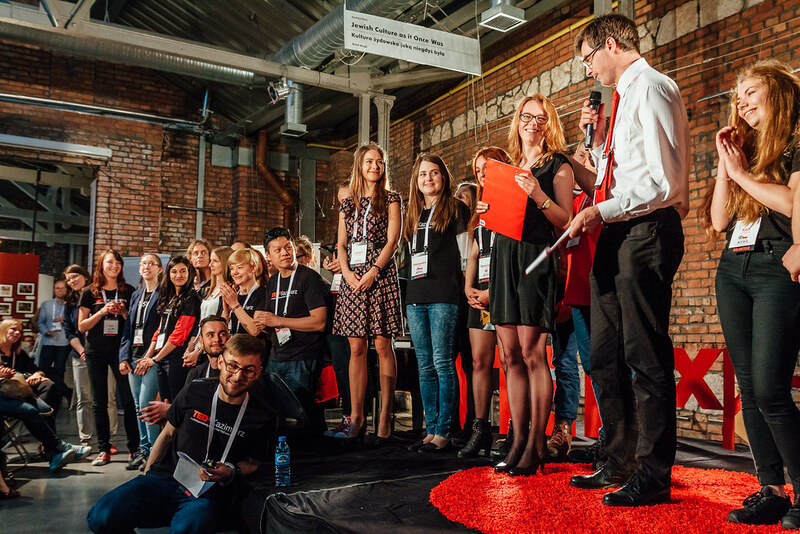 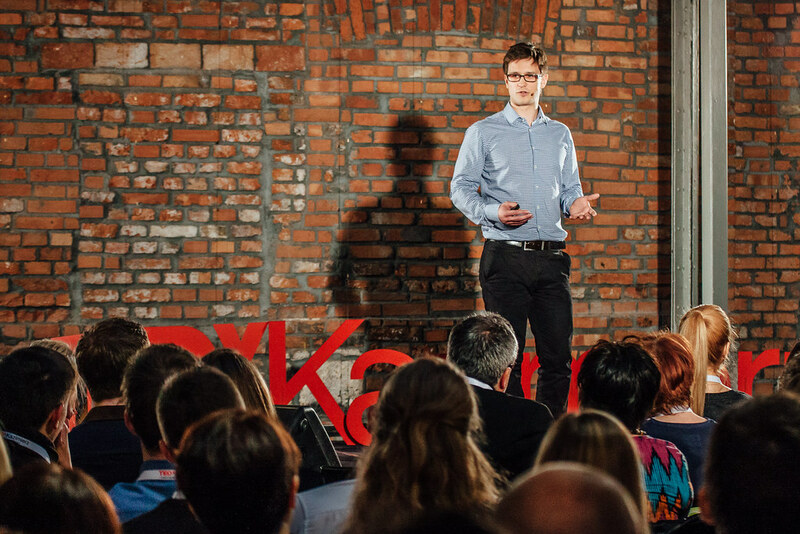 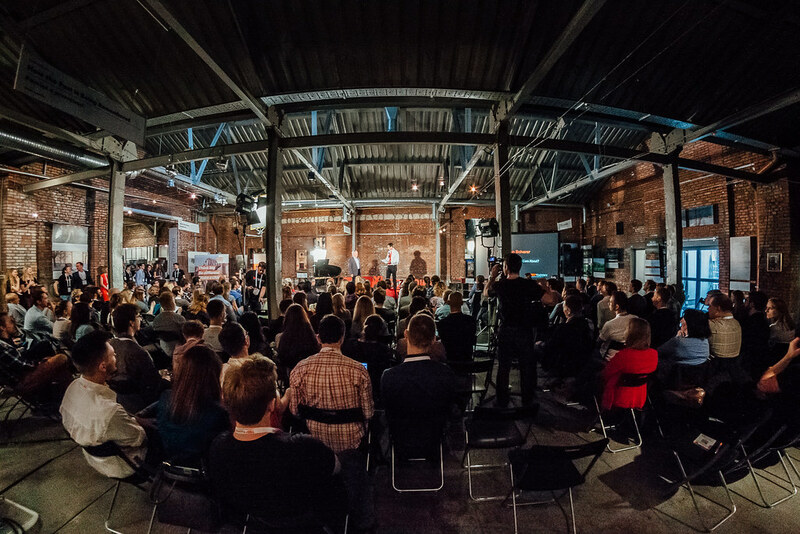 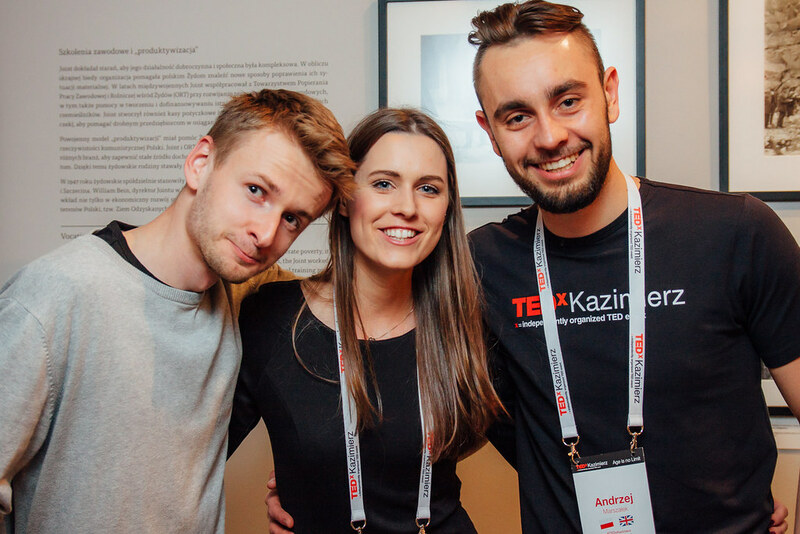 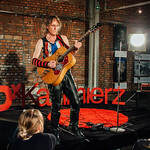 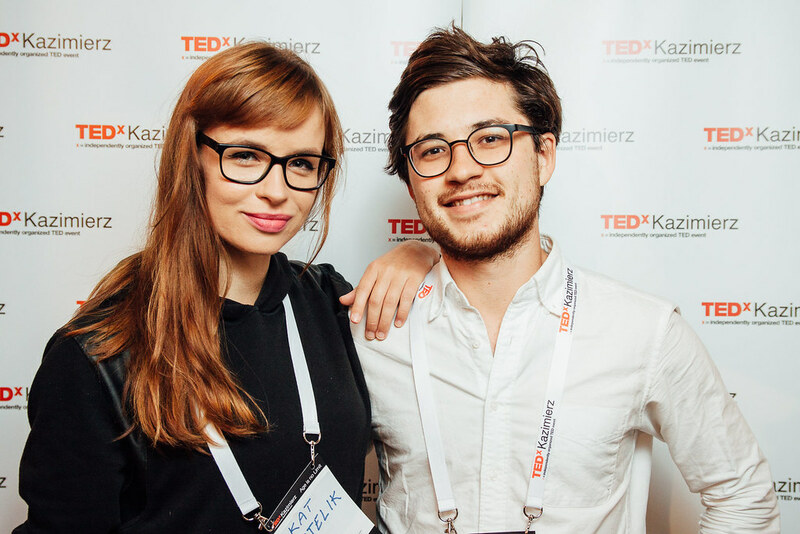 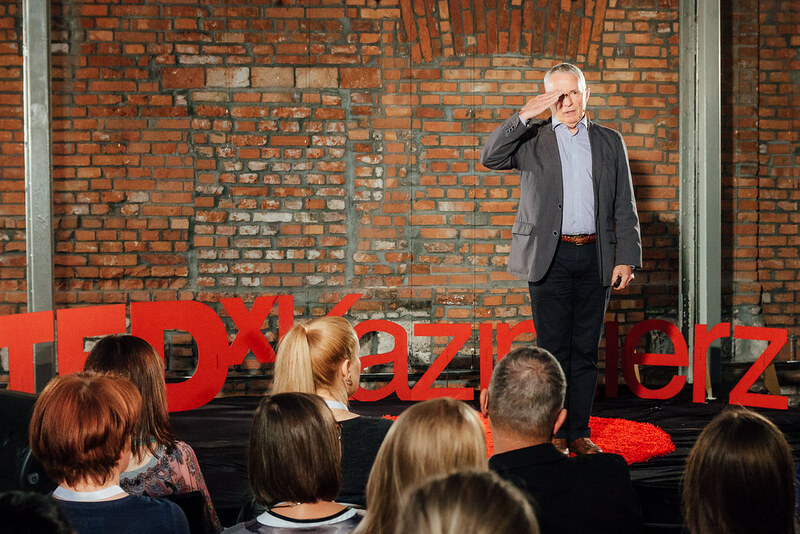 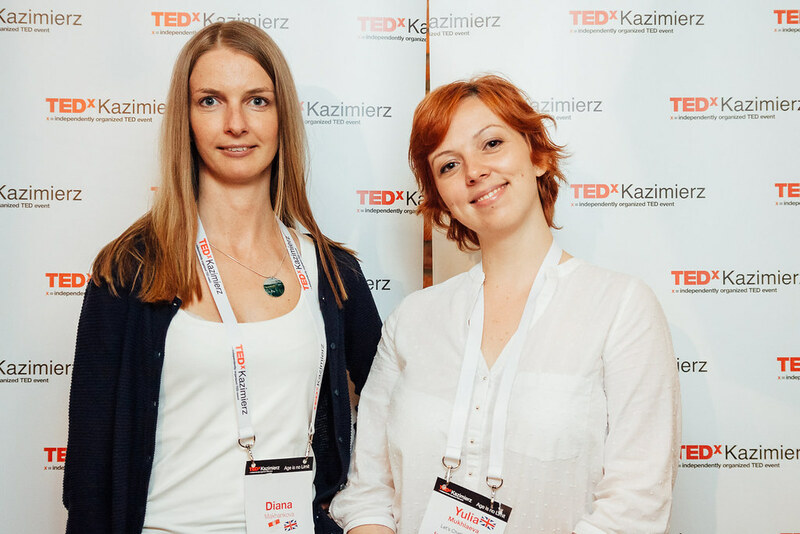 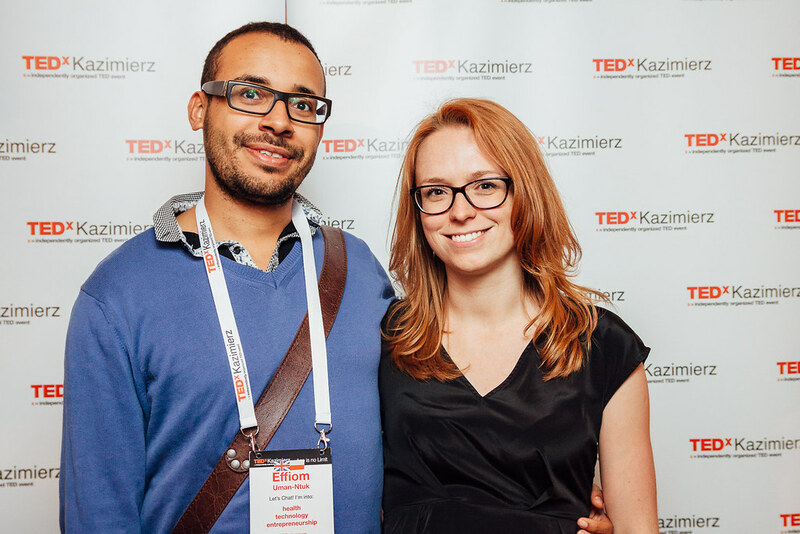 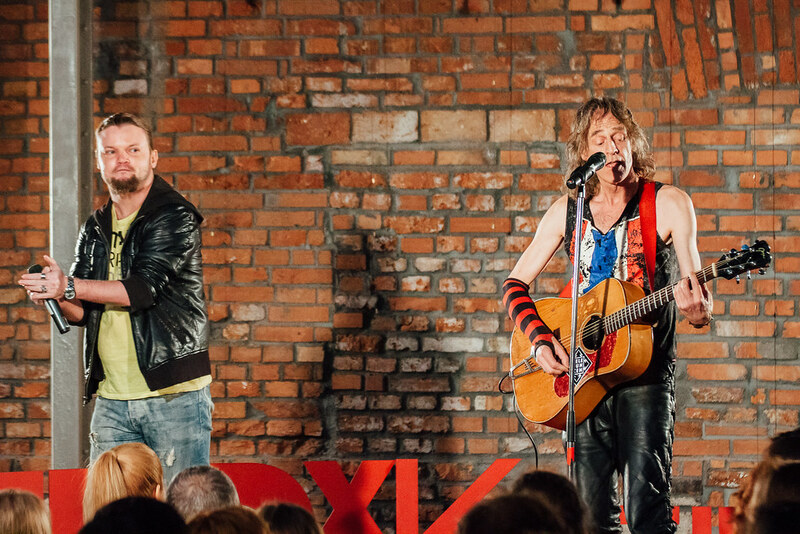 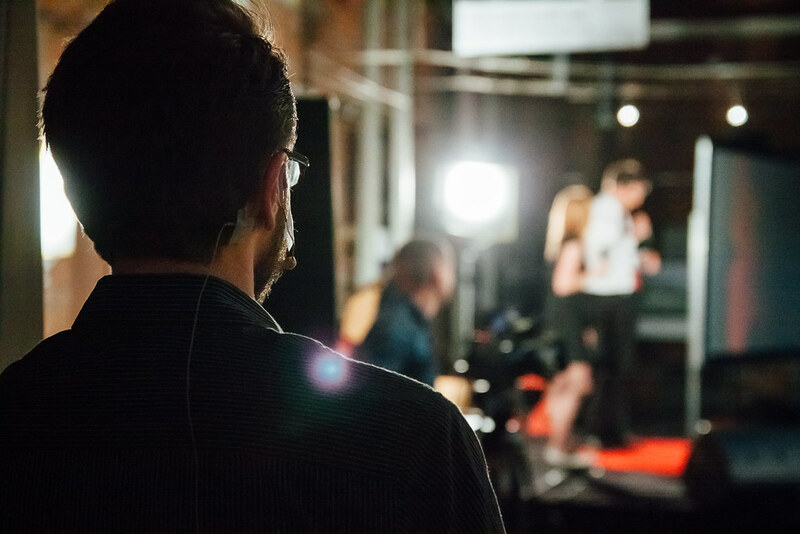 On the 23rd May 2015, the Galicia Jewish Museum in Kraków played host to the very first TEDxKazimierz event. 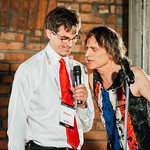 The theme for this conference was “Age is no Limit”. 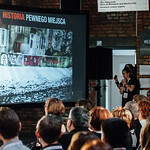 On the famous red circle, we had several speakers, among whom were comedian Jim Williams and journalist Edward Lucas. 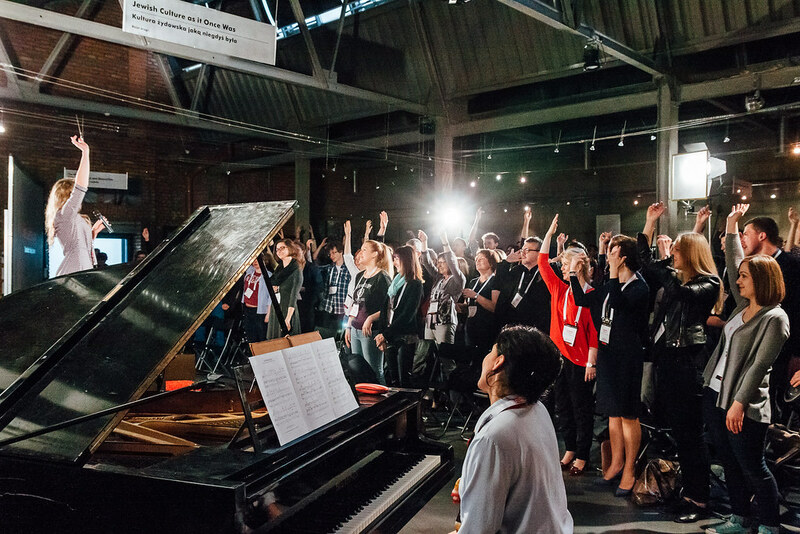 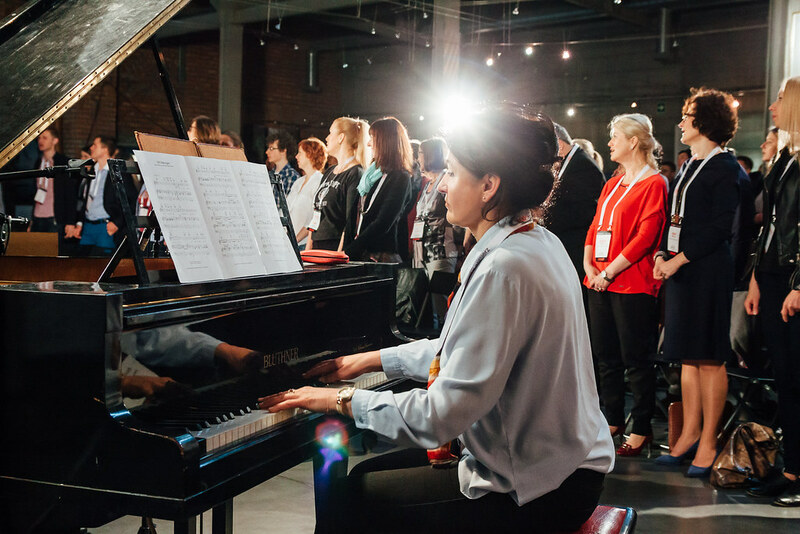 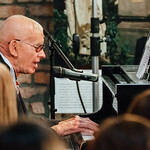 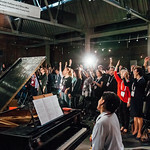 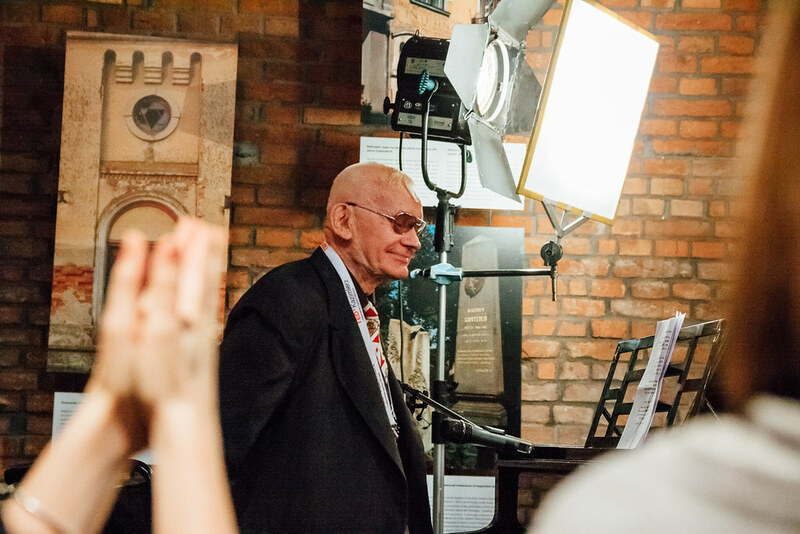 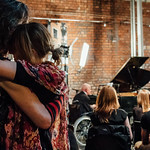 91-year-old Second World War Veteran Professor Wojciech Narębski received a standing ovation for his account of his survival of a Soviet prison and fighting the Nazis, and the entire conference sang him the Vera Lynn war song “We’ll Meet Again”. 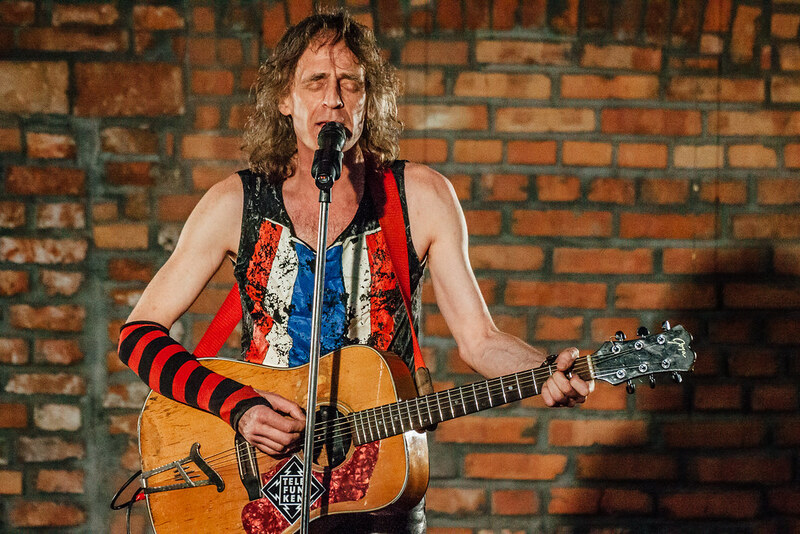 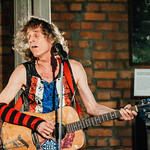 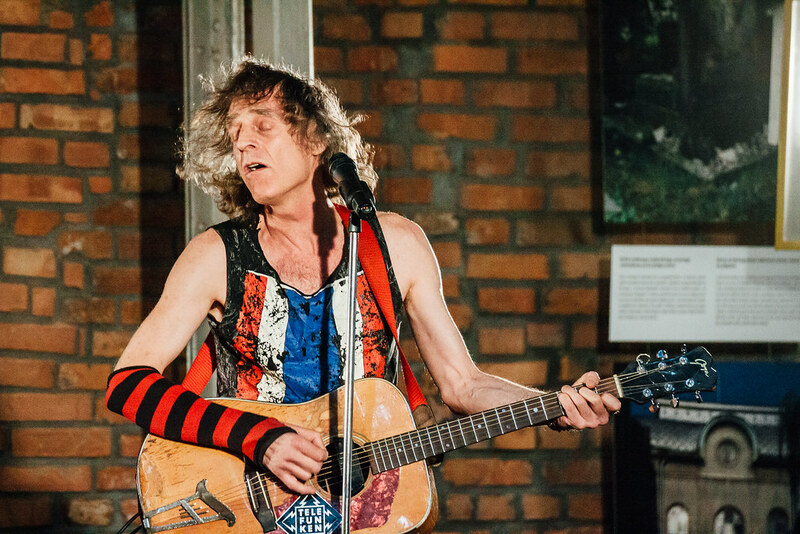 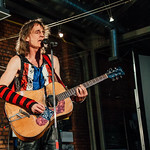 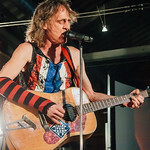 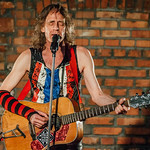 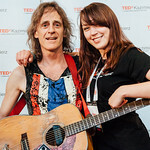 Rock star Alex Carlin sang and played his guitar. 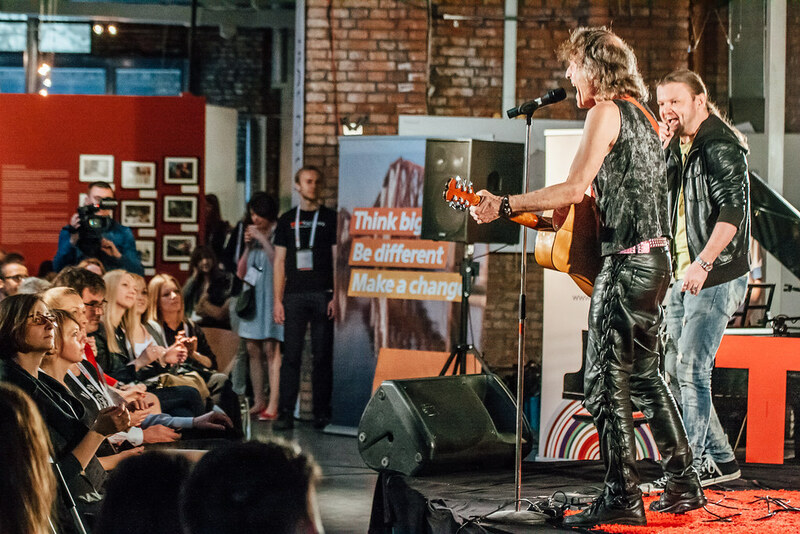 An array of artists, scientists and business people joined the event. 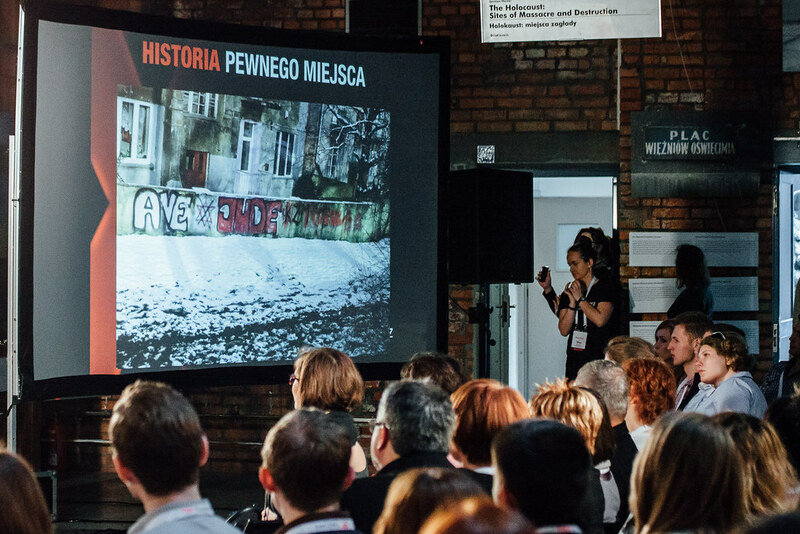 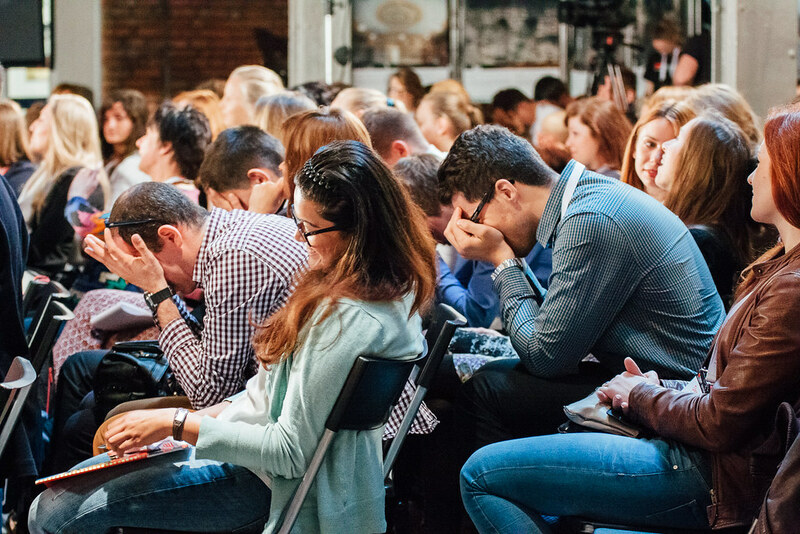 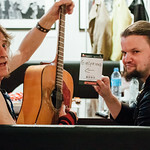 The all-day conference featured talks in Polish and English with simultaneous interpretation. 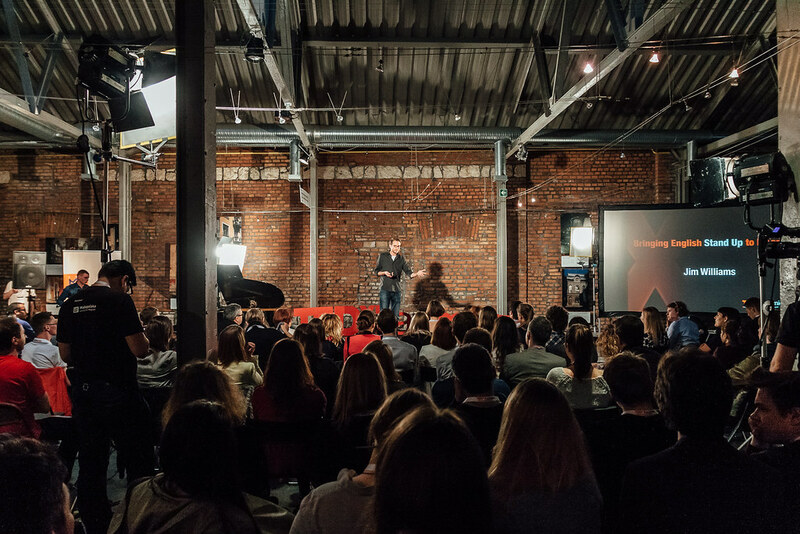 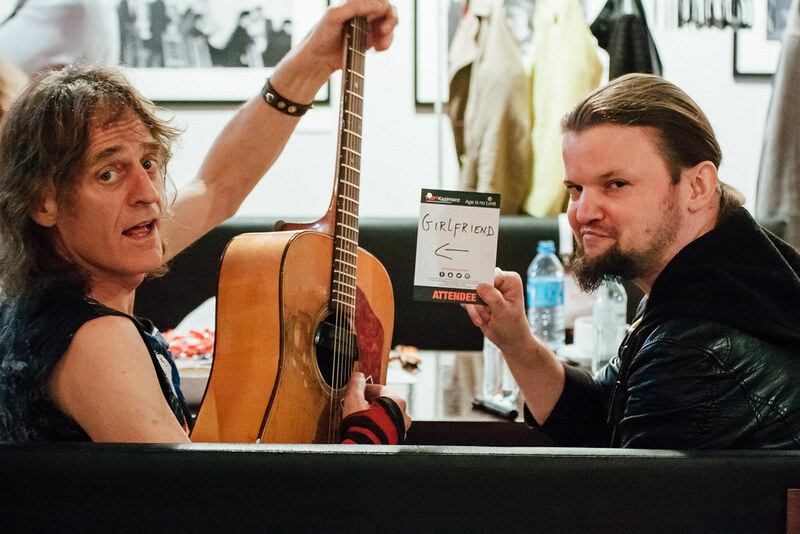 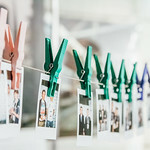 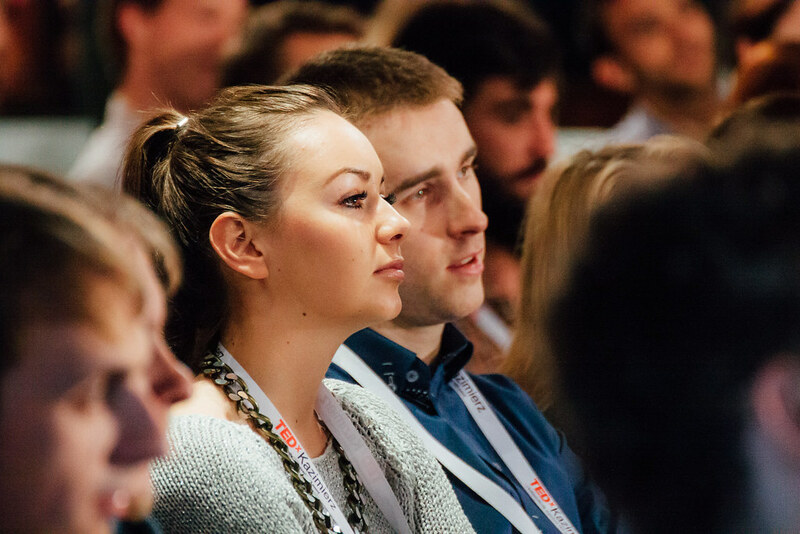 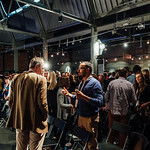 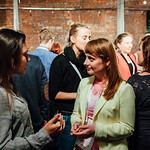 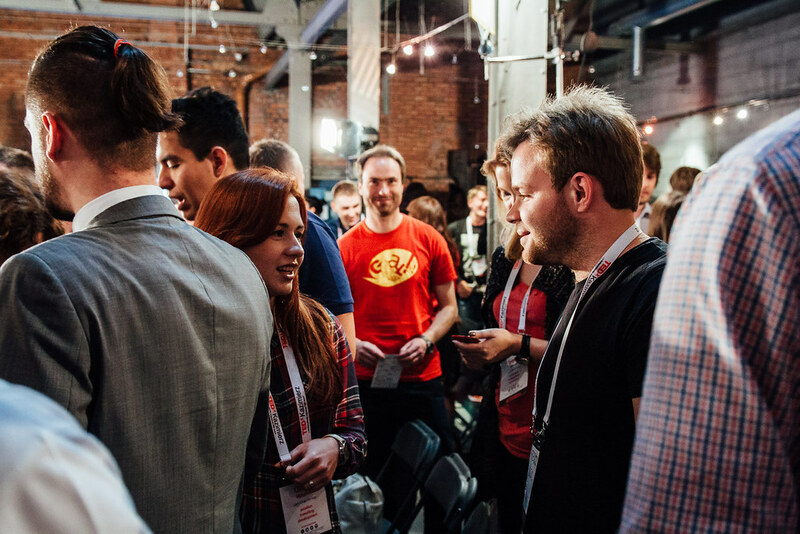 The event was very highly rated by the vast majority of attendees. 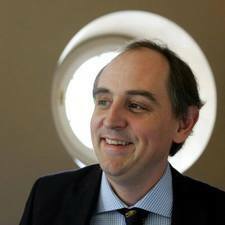 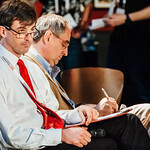 Edward Lucas is a senior editor at The Economist, the world’s foremost newsweekly. 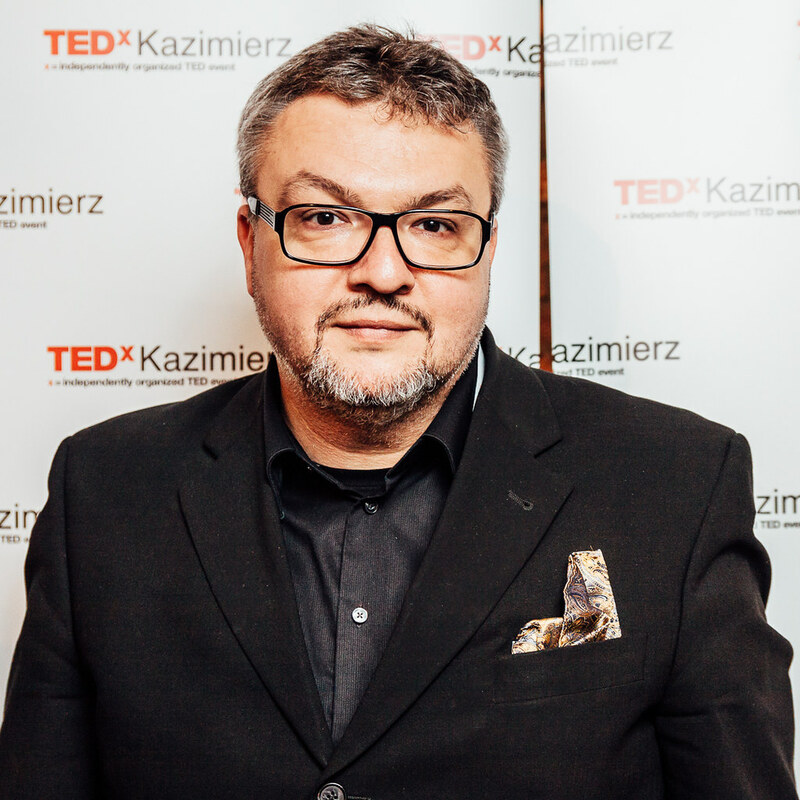 His expertise includes energy, cyber-security, espionage, Russian foreign and security policy and the politics and economics of Eastern Europe. 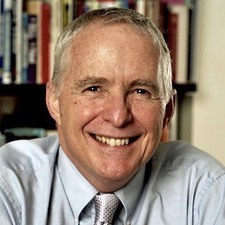 He has also contributed to books on religion and media ethics. 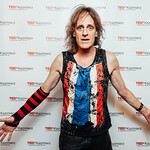 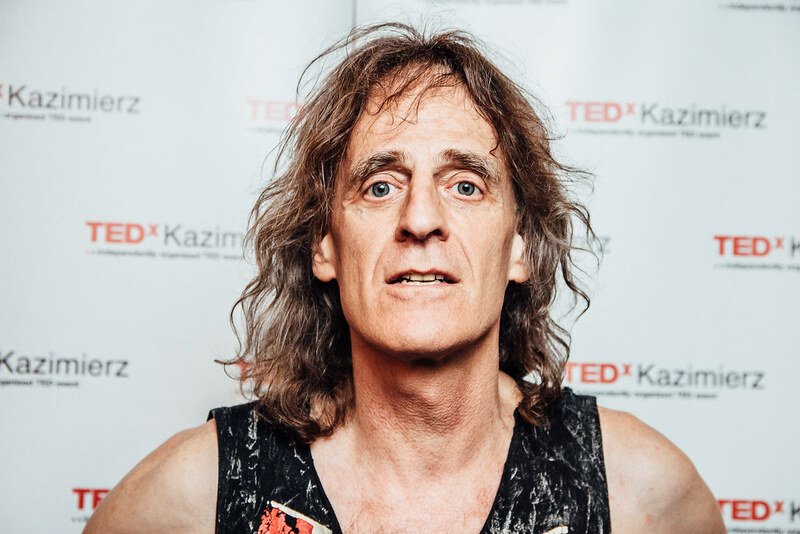 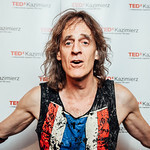 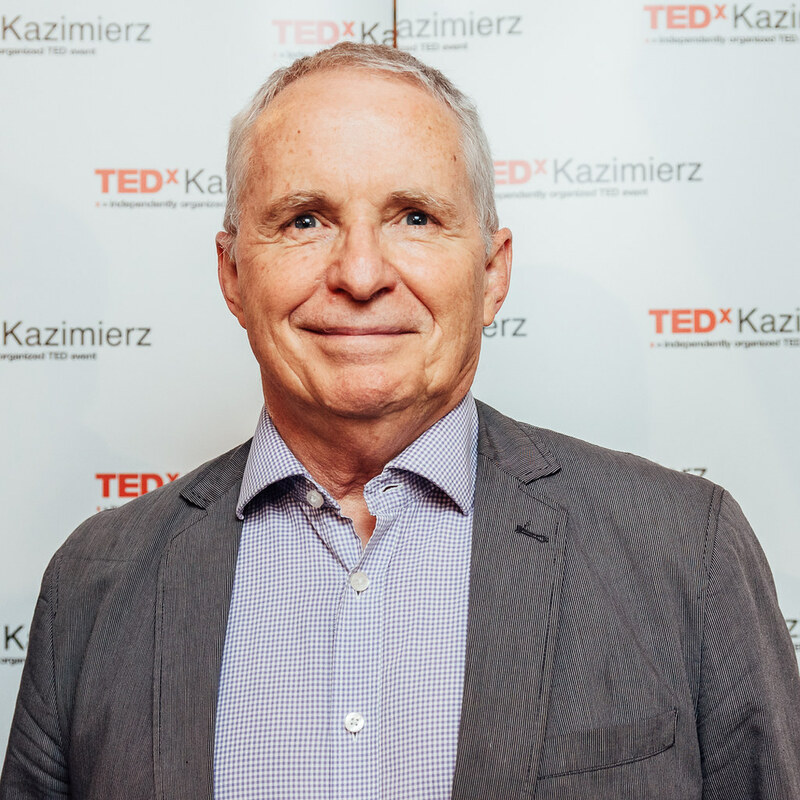 An experienced broadcaster, public speaker, moderator and panelist, Edward Lucas has given public lectures at Harvard, Oxford, Cambridge and other leading universities. 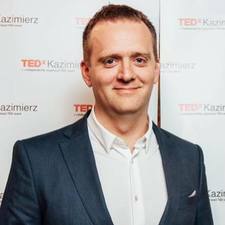 He is a regular contributor to the BBC’s Today and Newsnight programmes, and to NPR, CNN and Sky News. 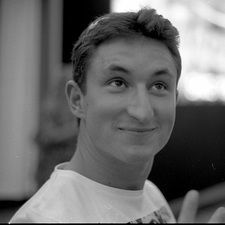 Alex was born in Chicago, and also lived in New York City and San Francisco. 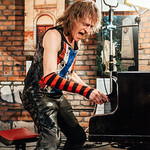 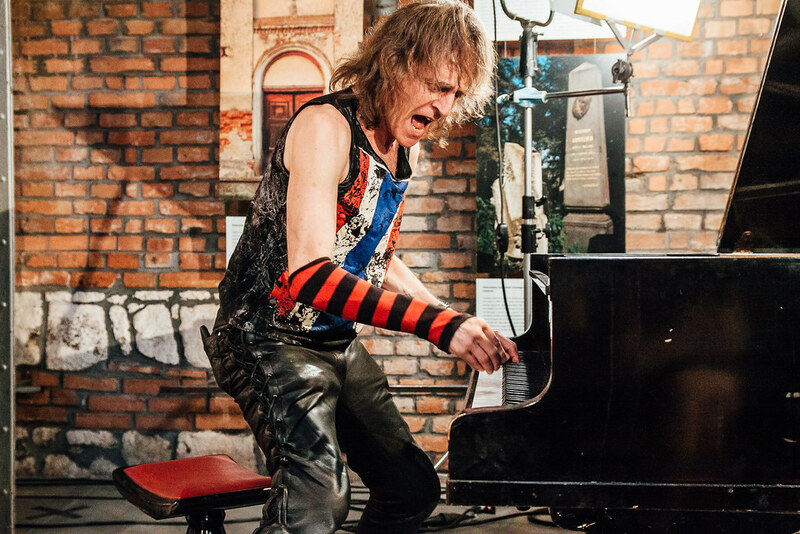 His musical career began in 1967, when, at the age of 10, he formed his first rock band, „The Constipated Orange”. 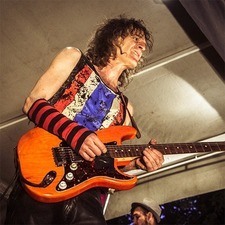 In the early seventies Alex was an original member of „The Rubinoos”, a group with hit records in the USA and the UK. 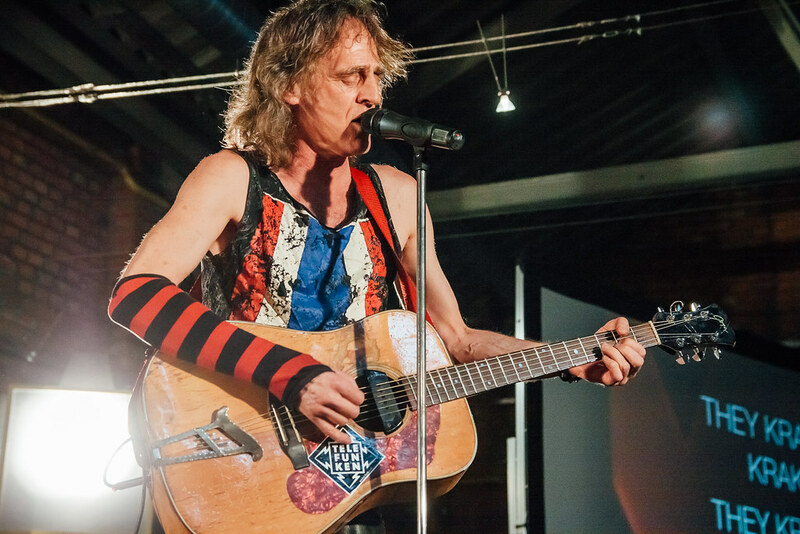 They played Alex’s song „Rock and Roll is Dead and We Don’t Care” on the famous American music performance show, „American Bandstand”. 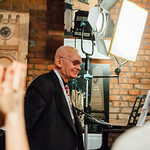 Born 14th of April, 1925 in Włocławek – Polish geologist, specialized in geochemistry, petrology and mineralogical sciences of volcanics and metabasites. In 1941, Wojciech Narębski was arrested by NKWD and imprisoned. 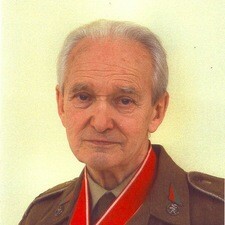 After the Polish Armed Forces formation, he went to the 2nd Corps, where he took part in the 22nd Artillery Supply Corp. 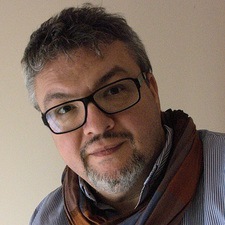 He published many works on the activities of 2nd Corps in the Italian Campaign. 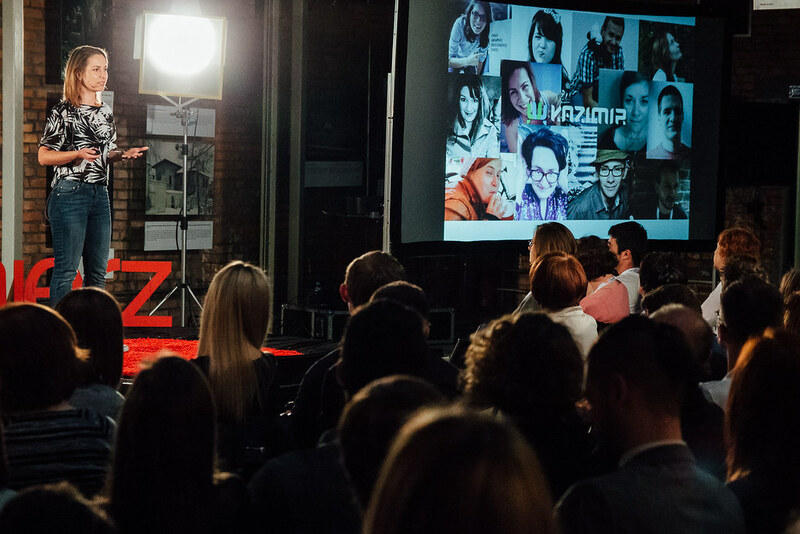 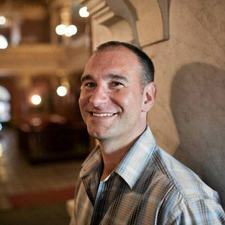 Branding strategist who makes his living by telling stories. 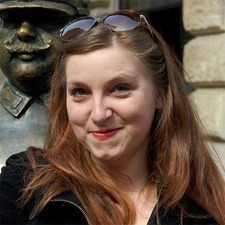 Author of two best-selling books. 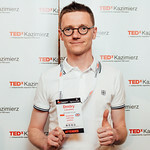 „Brand inside and out” won Marketing Book of the Year 2011 award. 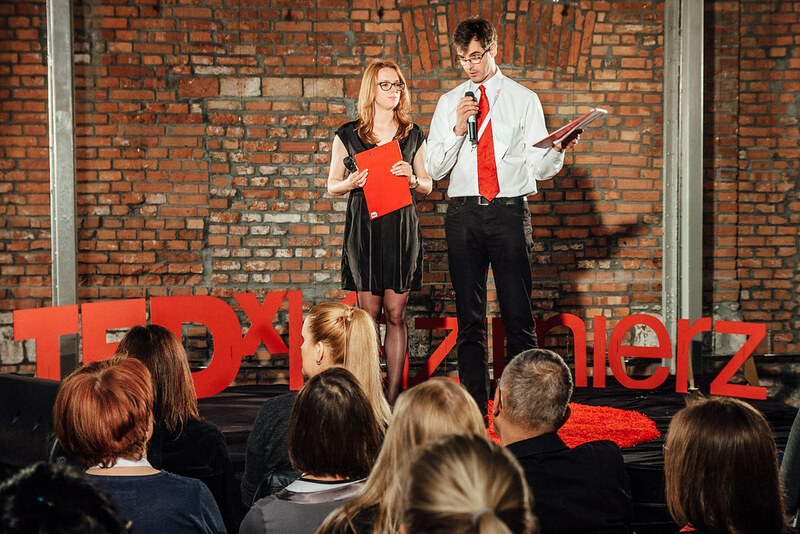 Public speaker and trainer. 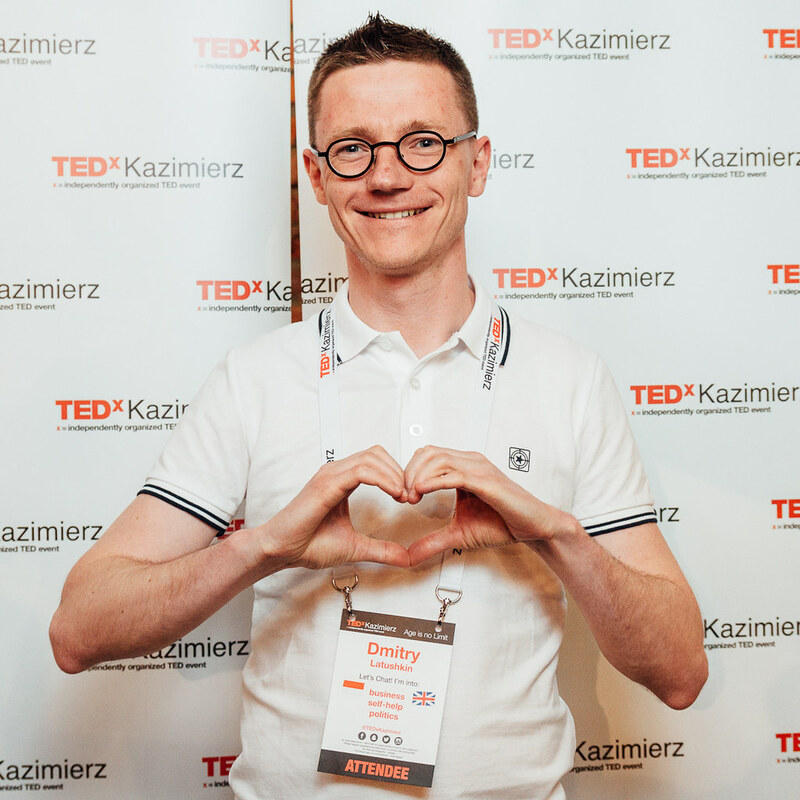 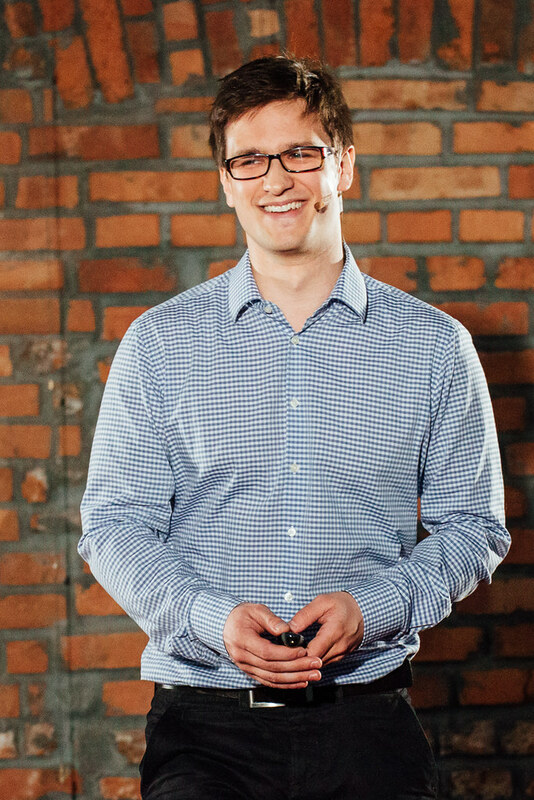 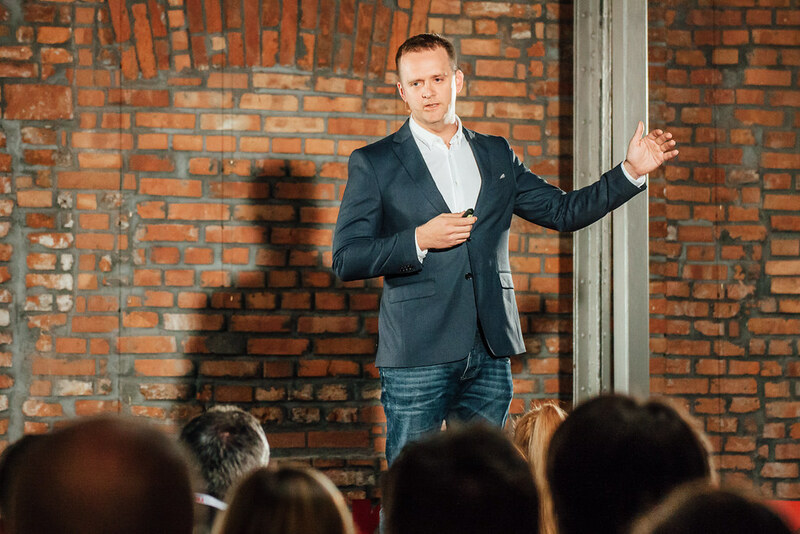 Named one of the top 10 marketing personalities of Polish internet by largest Polish internet portal. 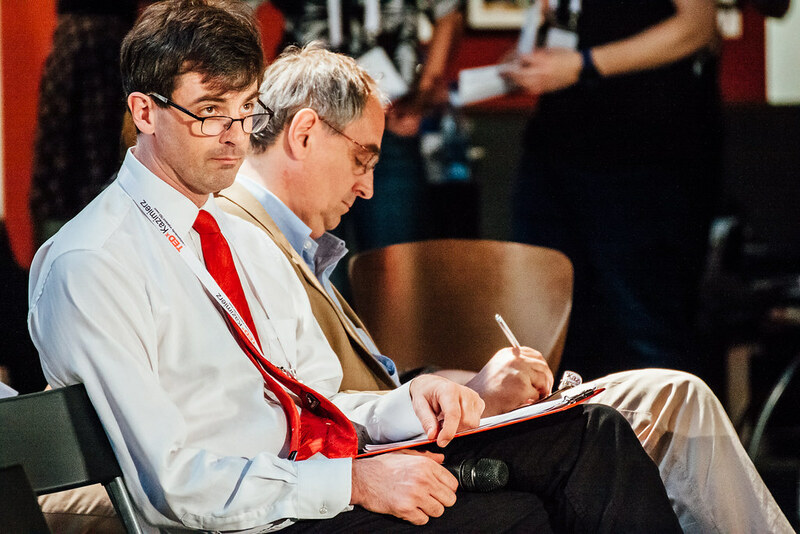 Jonathan Ornstein is the Director of the Jewish Community Centre – an organisation conceived of and opened by HRH, the Prince of Wales. 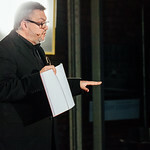 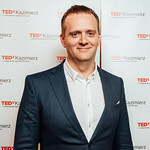 Prior to the centre’s opening in 2008 Jonathan had lectured in Modern Hebrew at the Jagiellonian University’s Department of Jewish Studies for 6 years and founded the “Gesher” association for Polish–Israeli dialogue. 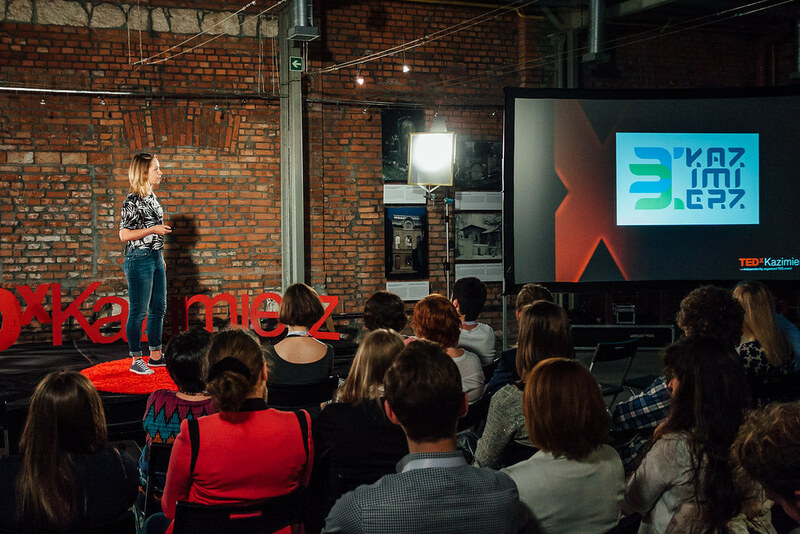 Emi is driving software product from inception through execution, working closely with designers and engineers to ensure that products amaze and delight end-users. 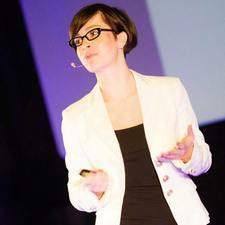 She’s a designer with artistic background and a passion to technology. 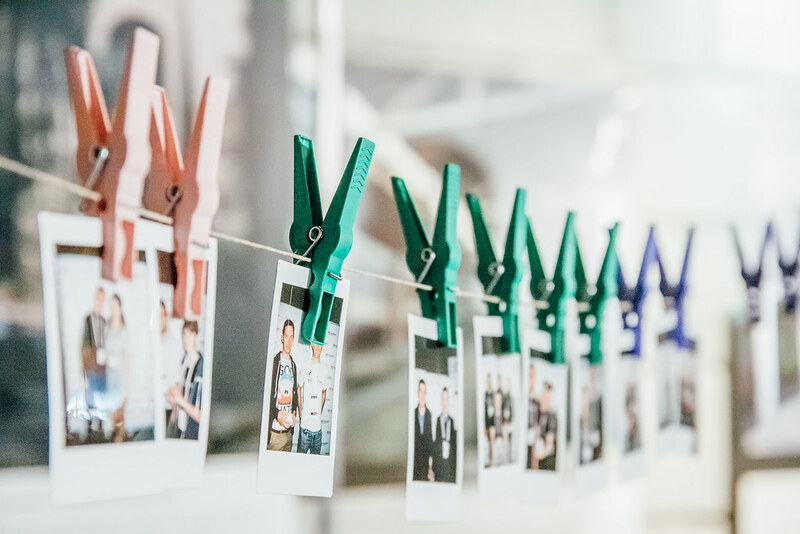 Day-to-day – previously at Applicake, Base CRM, now at Pilot – helps clients create functional and visually attractive applications. 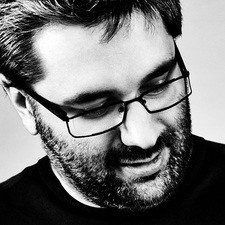 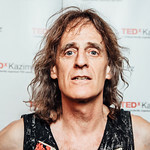 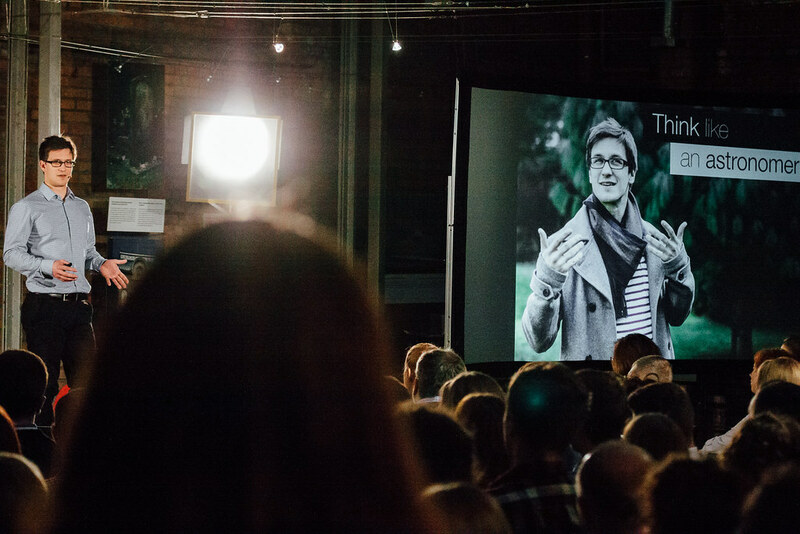 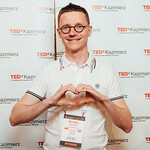 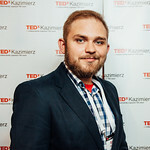 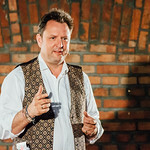 Jakub Bochinski is a professional astronomer and a science communicator at the Open University – one of the largest academic institutions in the world. 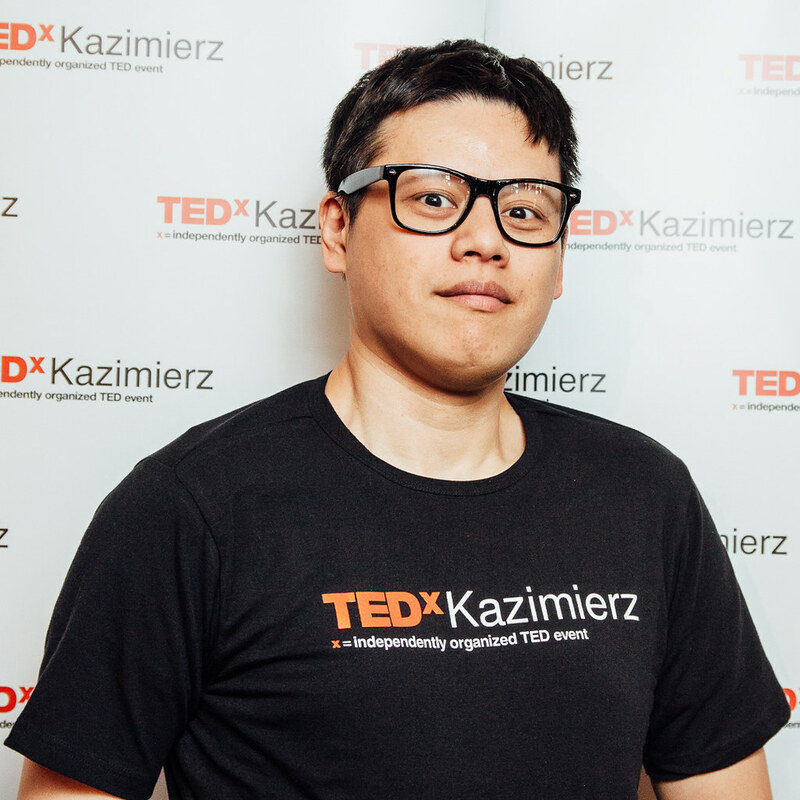 His current research aims to help us understand how Earth was formed by seeking out and studying new planets outside of the Solar System. 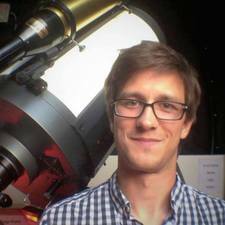 In recent years, Jakub contributed to discoveries of several new planets as a member of SuperWASP and PIRATE telescope programmes and is currently running his own project, attempting to look under the surface of an evaporating planet using the William Herschel Telescope located at La Palma, Canary Islands. 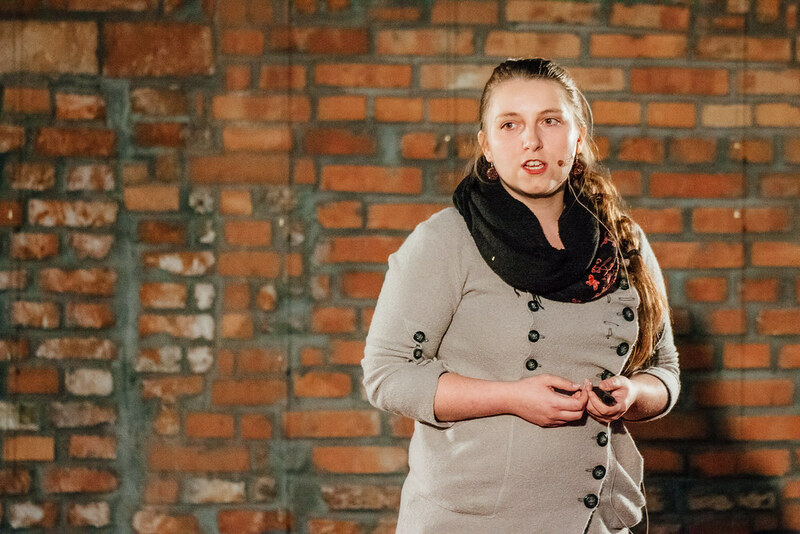 Sonja Larson grew up on a farm in Western Minnesota and recently graduated with a degree in vocal performance from Viterbo University in La Crosse, Wi, and is now researching in Krakow, Poland with a prestigious Fulbright Grant. 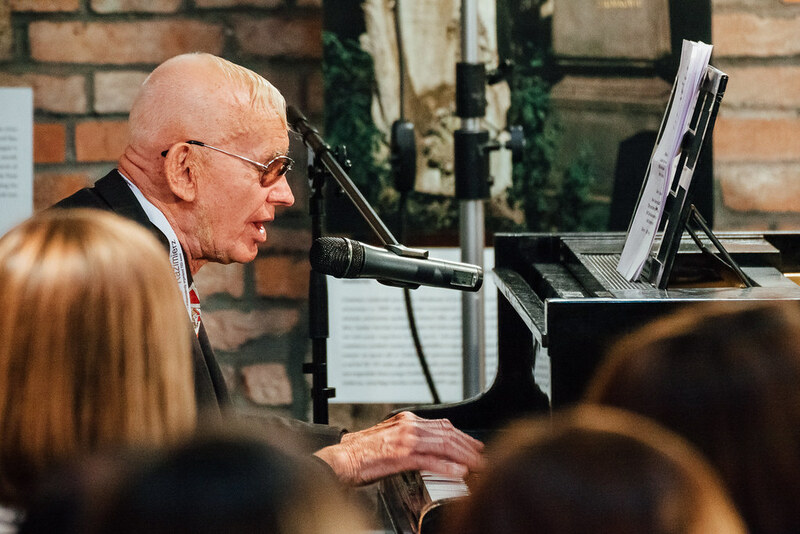 While at Viterbo, Larson researched Music in the Holocaust: A Means of Survival abroad in Poland with a summer research fellowship. 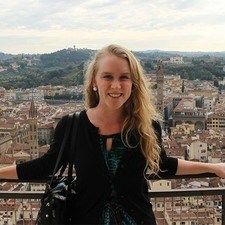 She has presented her research at local and international conferences and retreats. 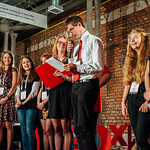 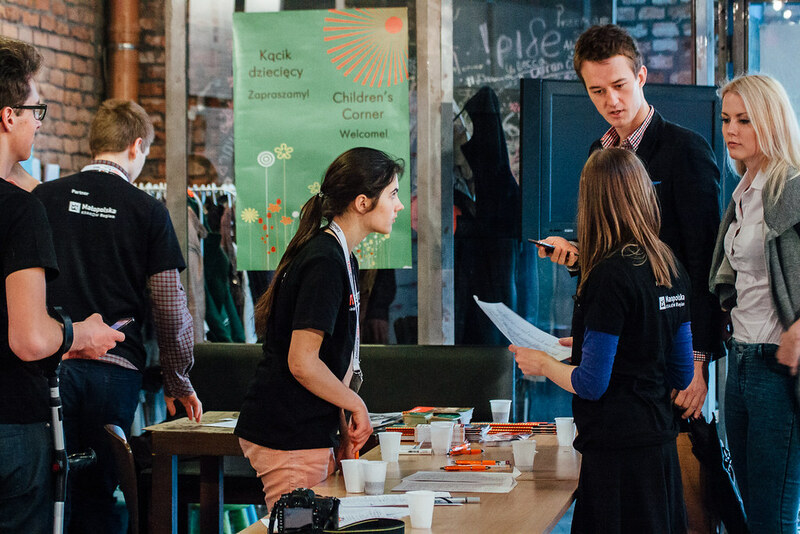 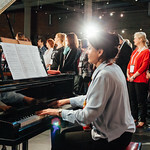 Associated with the Festival of Jewish Culture in Krakow as a volunteer for 5 years, also as a coordinator for one year. 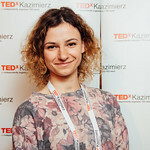 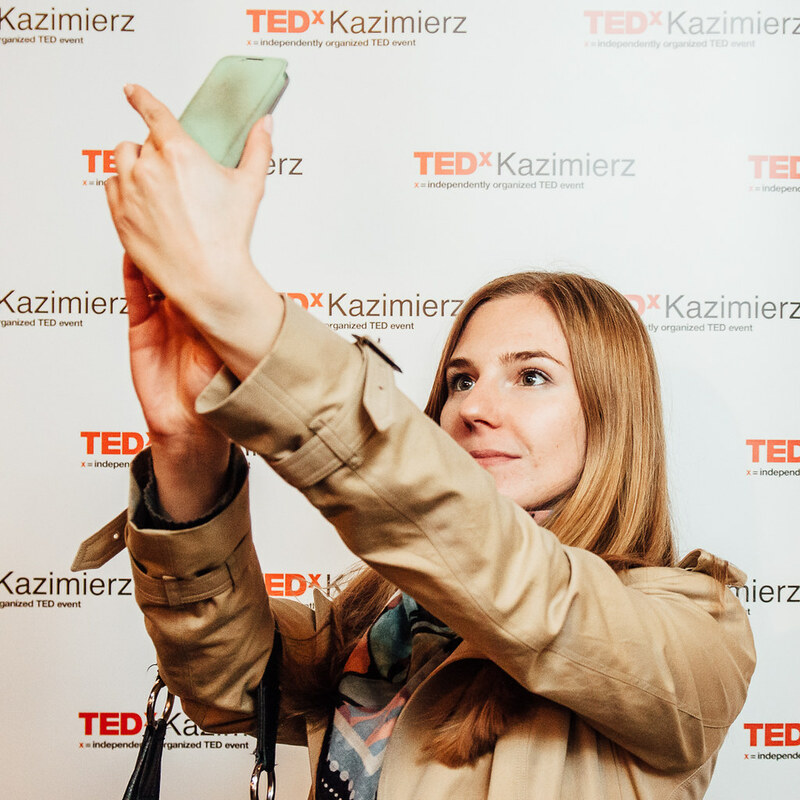 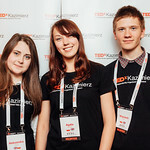 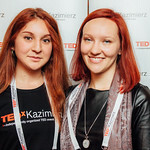 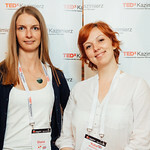 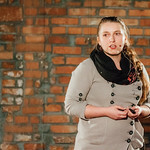 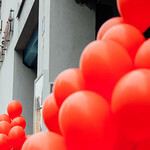 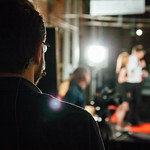 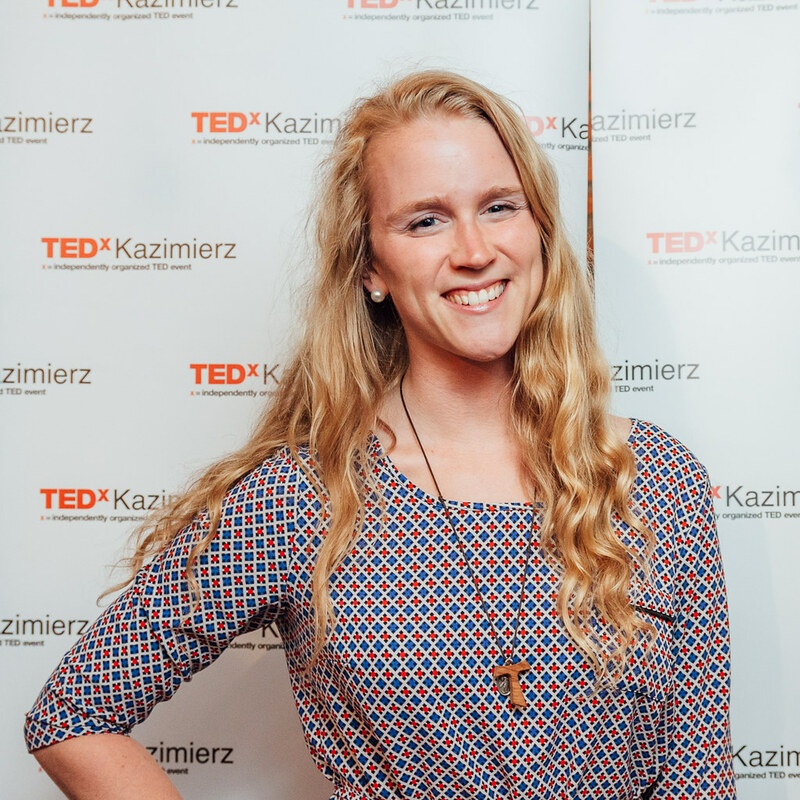 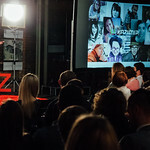 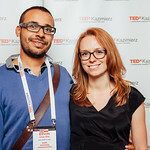 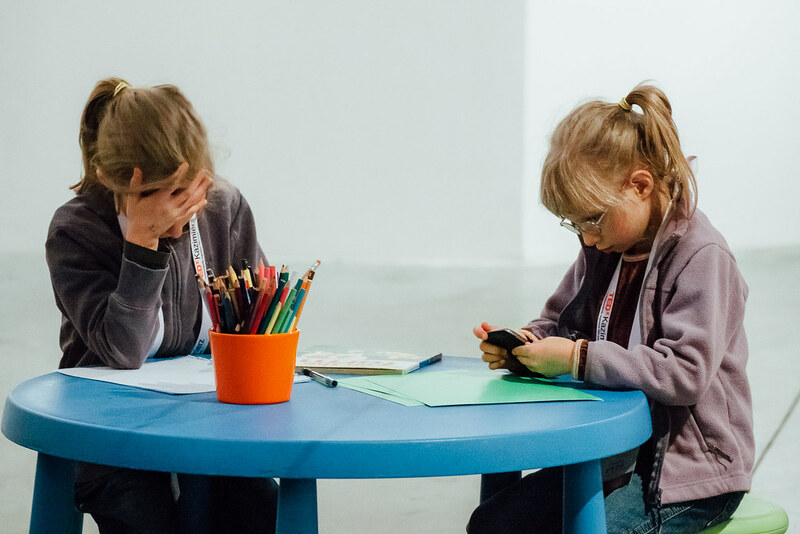 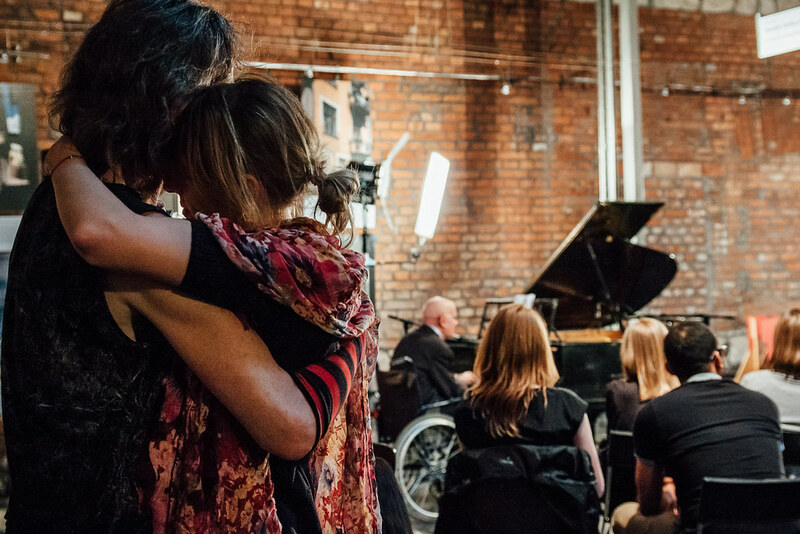 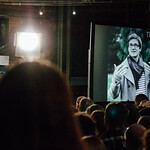 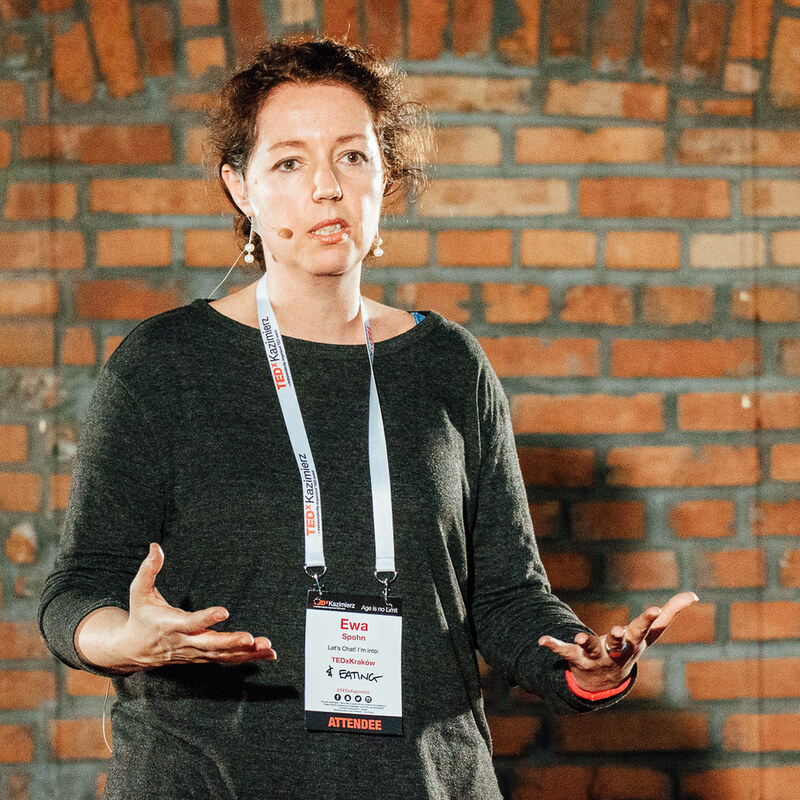 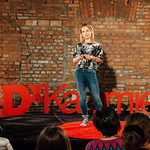 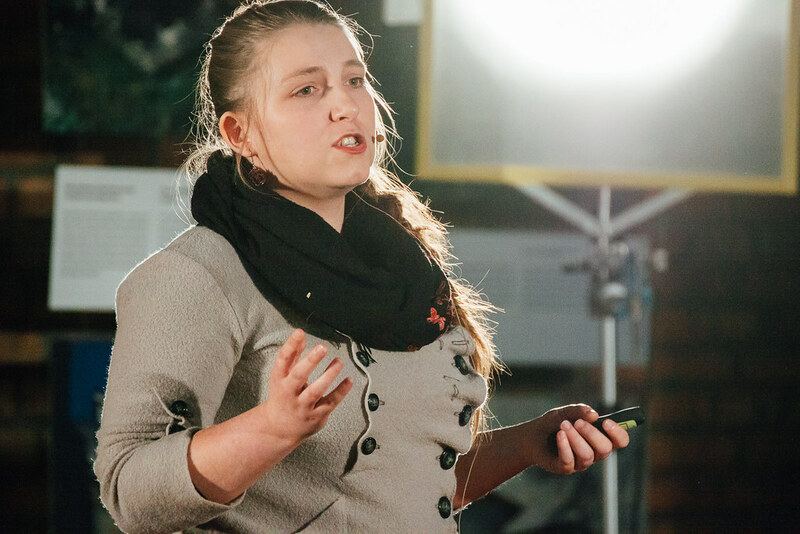 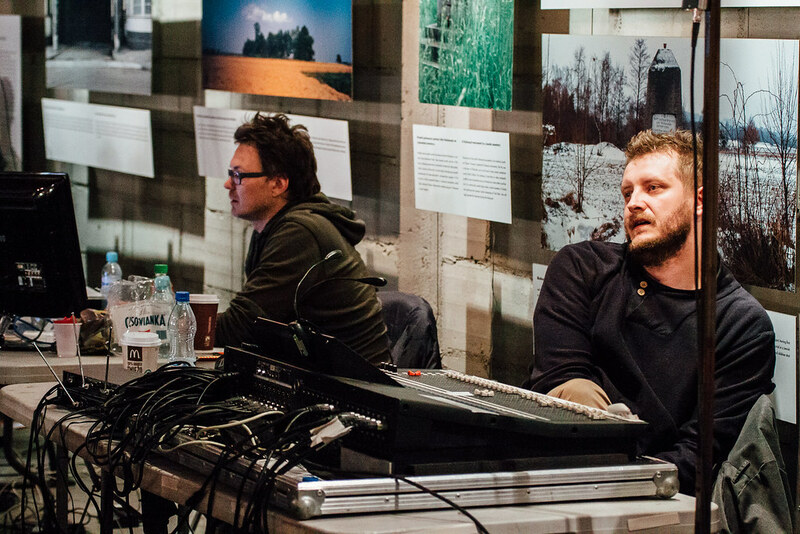 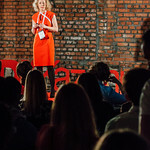 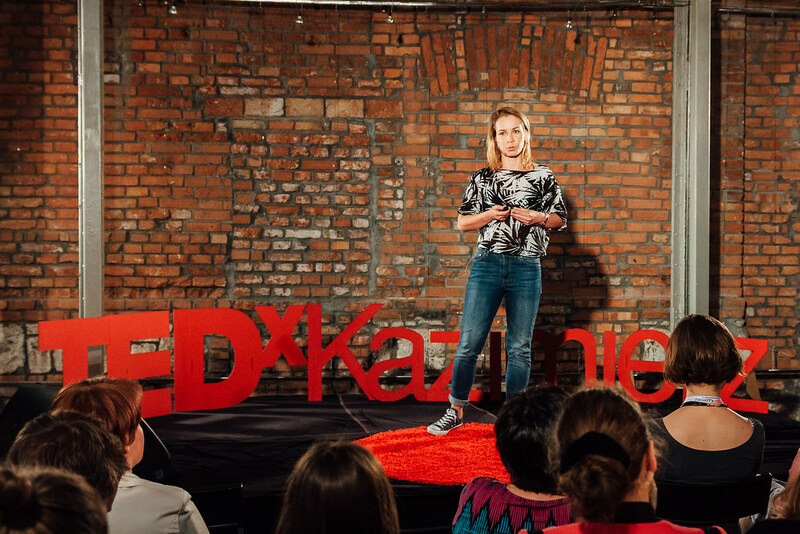 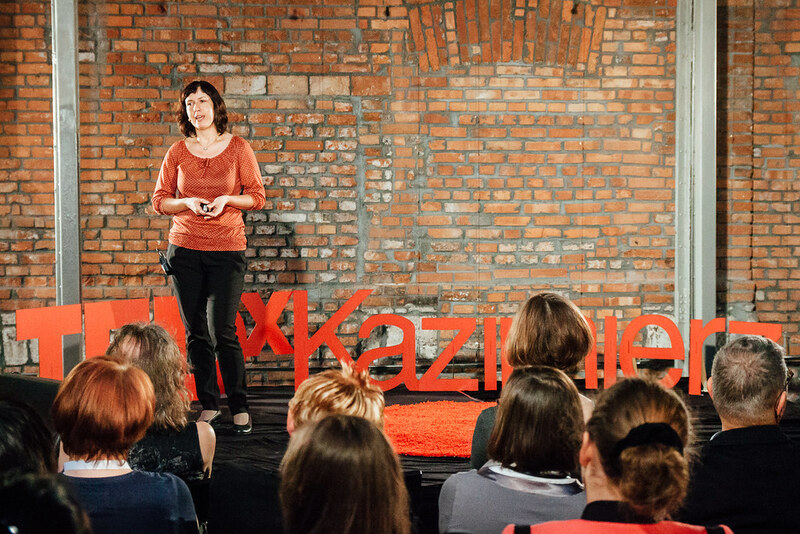 In addition to the work on the Festival, she started one-year project, about which she will tell at the TEDxKazimierz. 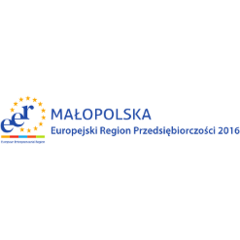 PhD student of pedagogy at the Jagiellonian University, interested in non-formalEDUCATION , cultural pedagogy, and everyday life sociology. 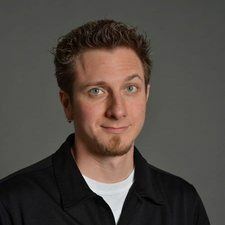 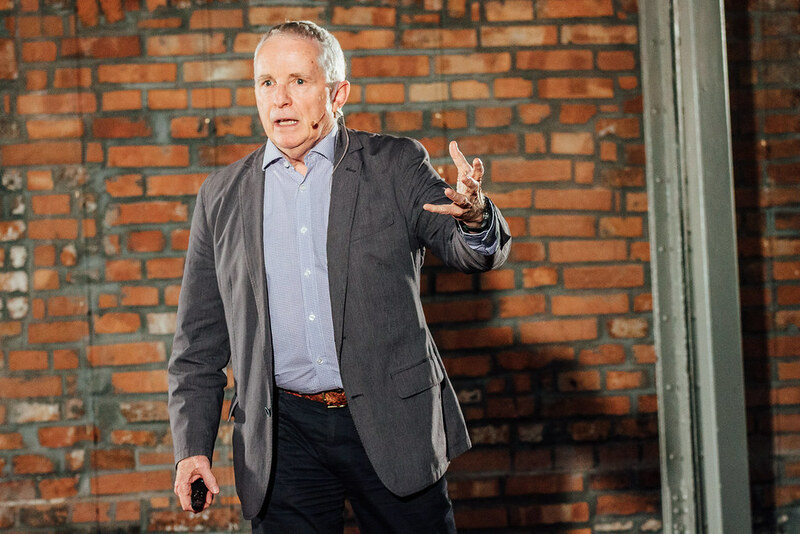 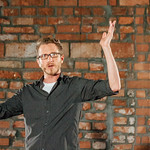 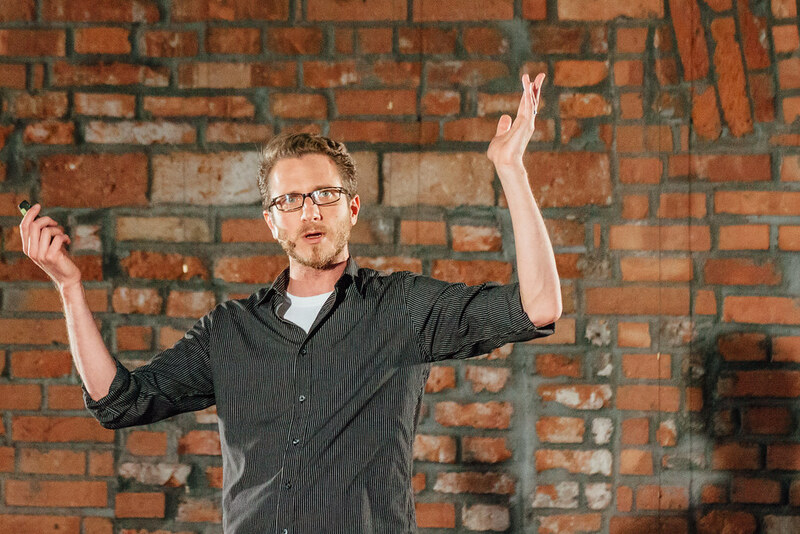 As a former Combat Officer on a US Navy Destroyer, Lutheran Chaplain at Cornell University, Gestalt and Family Systems Therapist, Graduate School co-creator, author, successful consultant andentrepreneur, John brings a unique perspective to his life and work. 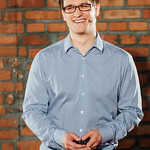 Business and community leaders from 23 nations have graduated from his Executive and Leadership Development Intensives. 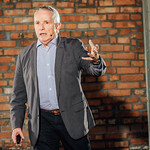 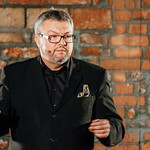 His most recent best-selling book, Five Questions that Change Everything: Life Lessons at Work, called ‘the best business self-help book ever written’ by CEO Robert Middleton. 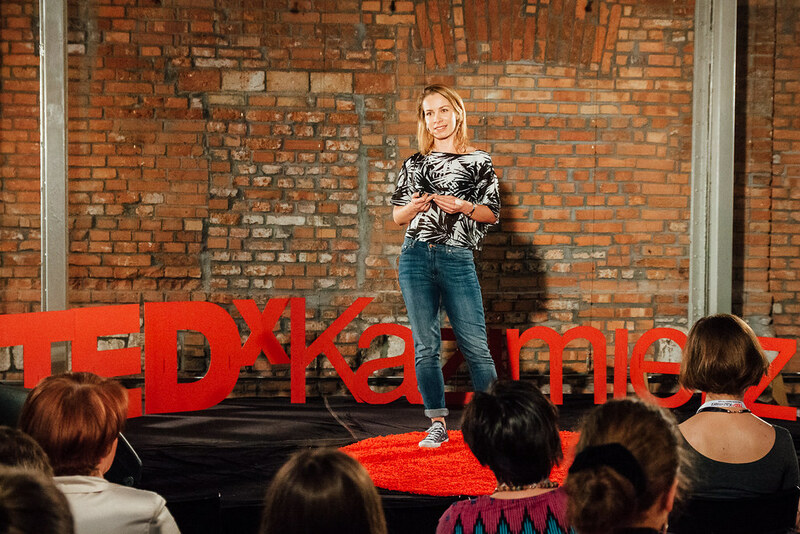 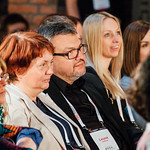 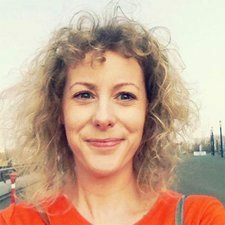 Karolina Liberka is a deputy editor of the monthly press called Marketing w Praktyce (Marketing in Practice). 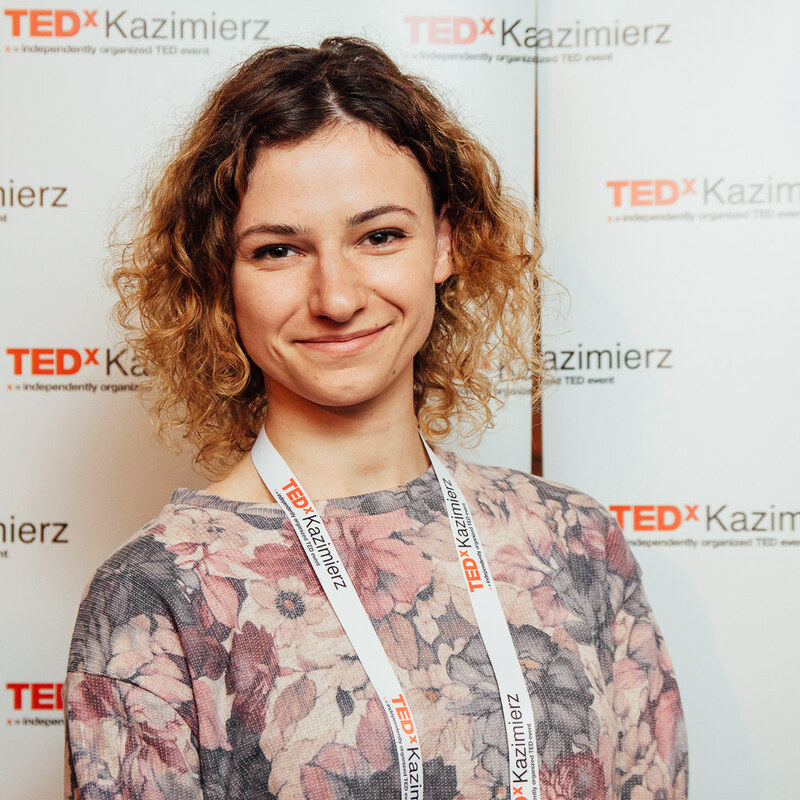 Strongly related to the topic of women entrepreneurship, she worked in the ACTIVE Women Association for a few years, where she helped people to start their own businesses. 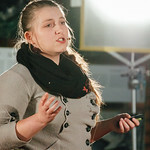 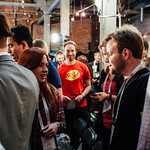 Regular mentor on the startup workshops.